Iraqi dictator Saddam Hussein (left) with his WMD nuclear physicist Dr. Jafar Dhia Jafar (right). 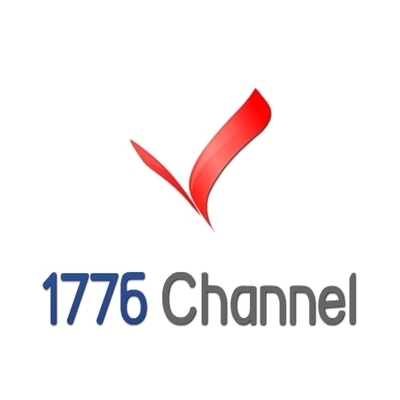 This is a joint project of Alan Jones of 1776 Channel and Mary Fanning of The American Report. America is facing a grave national security nightmare at Florida’s Port Canaveral. Crescent Petroleum, another Crescent Group affiliate, came under investigation in 1993 by the U.S. Department of Treasury Office of Foreign Assets Control and three House of Representatives committees (Foreign Affairs, Banking, and Ways and Means) to determine if Crescent Petroleum, the “privately owned” oil and gas company, was a “front company acting for Saddam Hussein,” according to The Independent and congressional records. Iraqi businessman Hamid Dhia Jafar, Founder and Chairman of the Crescent Group, is the brother and business partner of Iraqi nuclear physicist and spymaster Dr. Jafar Dhia Jafar. Dr. Jafar is considered to be the father of Saddam Hussein’s rogue nuclear weapons program. Dr. Jafar’s nephews Majid Jafar (left) and Badr Jafar (right), both engineers, operate Crescent alongside their father Hamid Jafar and Dr. Jafar, CEO of Crescent’s engineering unit. Following the Davos conference, it would be another six months before the American people and members of Congress learned via media reports about Project Pelican. Under the Foreign Investment and National Security Act of 2007 (FINSA), Director of National Intelligence (DNI) James R. Clapper is responsible for leading the CFIUS National Security Threat Analysis of the Port Canaveral/Gulftainer deal and ordering intelligence assessments from all sixteen U.S. intelligence agencies under his command. FINSA, enacted after UAE government-owned Dubai Ports World attempted to take over five U.S. ports in 2006, prohibits foreign businesses and businesses controlled by foreign governments from establishing operations close to U.S. critical infrastructure, defense installations, and sensitive national security facilities. Port Canaveral’s cargo operations were taken over by His Highness Sheikh Sultan bin Mohammed Al-Qasimi, Ruler of Sharjah, UAE, who shares ownership of Gulftainer with Hamid Jafar according to the World Bank. 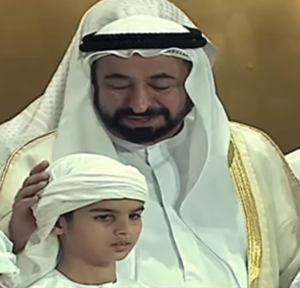 A YouTube video reveals Sheikh Al-Qasimi displaying affection toward one of his subjects. The Crescent Group’s Gulftainer, therefore, is partially owned by the UAE government. Crescent’s Dr. Jafar is reputedly the Middle East’s foremost uranium enrichment and nuclear weapons production expert. Dr. Jafar is ostensibly more talented than A.Q. Khan, the Pakistani nuclear physicist who once offered Dr. Jafar assistance, and is on par with Manhattan Project scientist J. Robert Oppenheimer. Dr. Jafar possesses vast knowledge of Iraq’s nuclear facilities, some of which were uncovered by weapons inspectors, others conceivably remaining shrouded in secrecy by select remnants of Saddam’s WMD regime. Dr. Jafar is better equipped to restart Iraq’s nuclear weapons program than any other scientist on the planet, and he could plausibly help the UAE covertly re-purpose its new nuclear program into a military one. 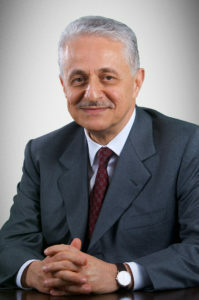 Dr. Jafar recently built power stations near Saddam-era underground uranium enrichment facilities and other old Iraqi nuclear weapons production sites, some of which he directed under Saddam. Dr. Jafar also built new Iraqi fertilizer and water treatment plants. In 2009, President Obama pushed through the controversial U.S.- UAE “123 Agreement.” The 123 Agreement launched the UAE’s nuclear program and led to the construction of four brand new reactors at the UAE’s curiously-named Barakah Nuclear Power Plant. 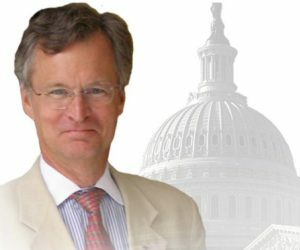 Henry Sokolski of the Nonproliferation Policy Education Center opposed the U.S. – UAE 123 Agreement, telling CNN that “once this thing gets signed, it’s a loaded gun. You can’t renegotiate it.” The U.S. – UAE’s 123 Agreement was strongly criticized by members of Congress. UAE’s Ambassador to the United States Yousef al-Otaiba attended the opening ceremony at Port Canaveral’s new Gulftainer/GT USA container terminal in June 2015. Also in attendance was Barack Obama’s college roommate SelectUSA Director Vinai Thummalapally. 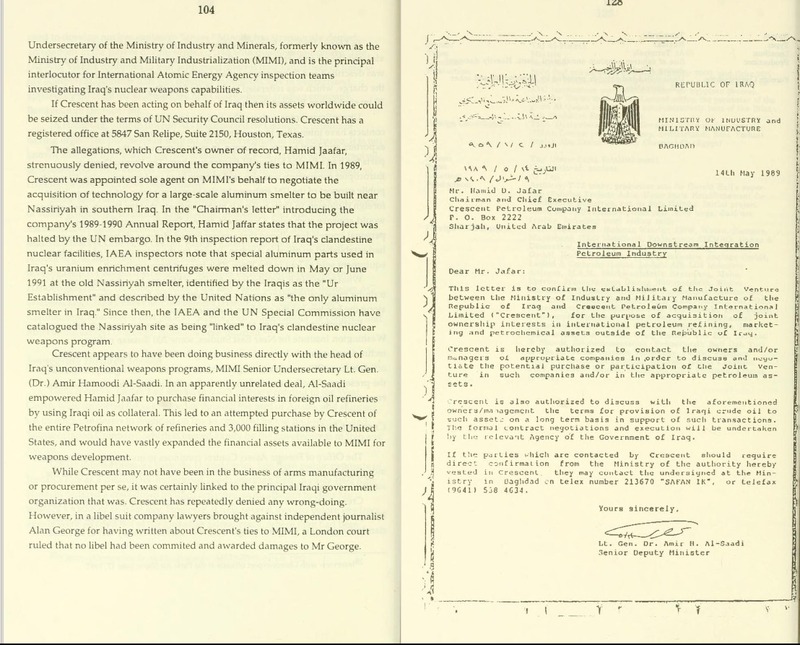 A primary objective of Crescent Petroleum was to sell oil and petroleum products to fund Dr. Jafar’s top-secret nuclear weapons program, code-named Petrochemicals Project/3 (PC3). 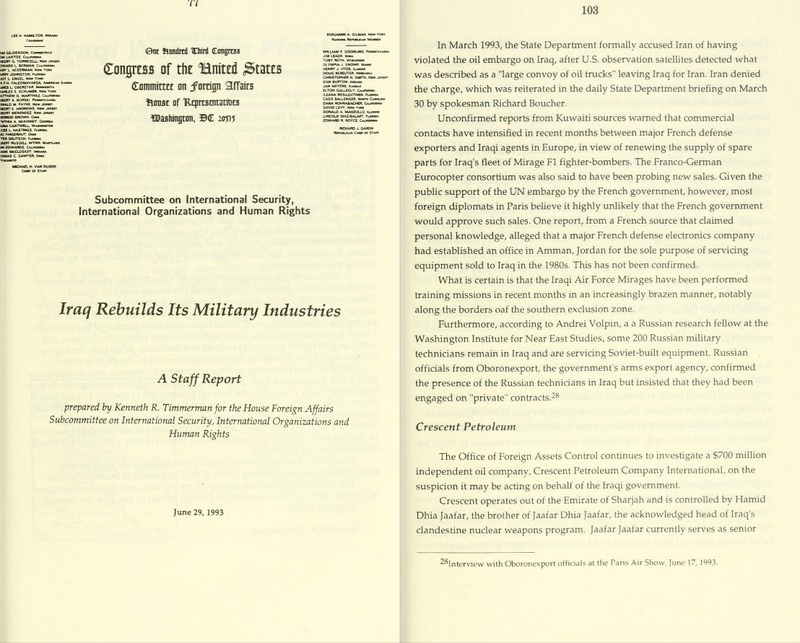 The code-name was chosen to deceive Western intelligence analysts by characterizing Dr. Jafar’s nuclear weapons program as a civilian petroleum project. This scheme was hatched when Saddam’s son-in-law Hussein Kamel al-Majid approached Crescent Petroleum CEO Hamid Jafar with a business proposition. “Put a Tyrant in your Tank”: Crescent Petroleum tried to buy 3,000 American Petrofina gasoline stations to sell fuel refined from Iraqi crude. The proceeds would have gone to MIMI to fund Dr. Jafar’s nuclear bomb program and other Iraqi superweapons. The Iraqi government, desperate for cash by the late 1980s after the Iran-Iraq war, was looking for a way to quietly sell Iraqi oil to the West through a front company and to funnel the proceeds into the expansion of its superweapons program. Kamel, head of Iraq’s Ministry of Industry and Military Industrialization (MIMI), directed Iraq’s superweapons program, including PC3. Dr. Jafar reported directly to Kamel and Saddam while living on Saddam’s palace grounds, property that was owned by the Jafar family. 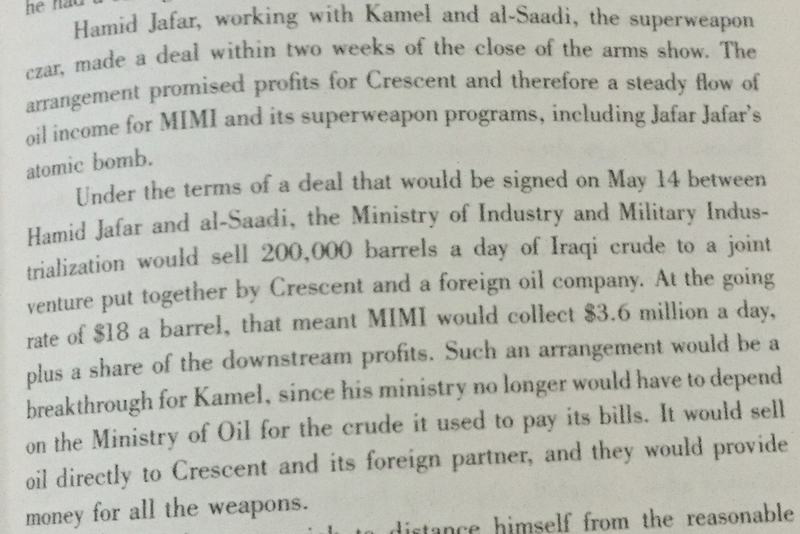 Realizing that Crescent Petroleum was an ideal front company for Saddam, Kamel and Hamid Jafar set up a 1989 deal to funnel billions of dollars into the superweapons program, including Dr. Jafar’s massive nuclear weapons program. 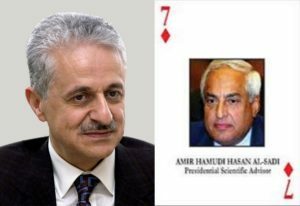 The deal was confirmed in a letter to Hamid Jafar from Saddam’s superweapons czar Lt. Gen. Dr. Amir al-Saadi, the Seven of Diamonds in the Iraq Most Wanted playing cards deck. The letter was entered into the Congressional record in 1993. 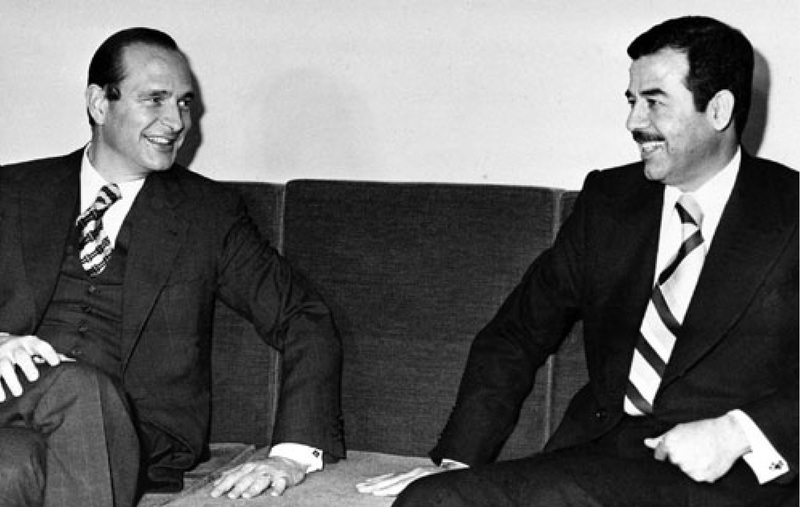 The Petrofina deal fell through after Iraq invaded Kuwait. By 1991, investigators at Treasury’s Office of Foreign Asset Controls had identified 57 Iraqi front companies and “160 ships under Iraqi control,” according to the New York Times. 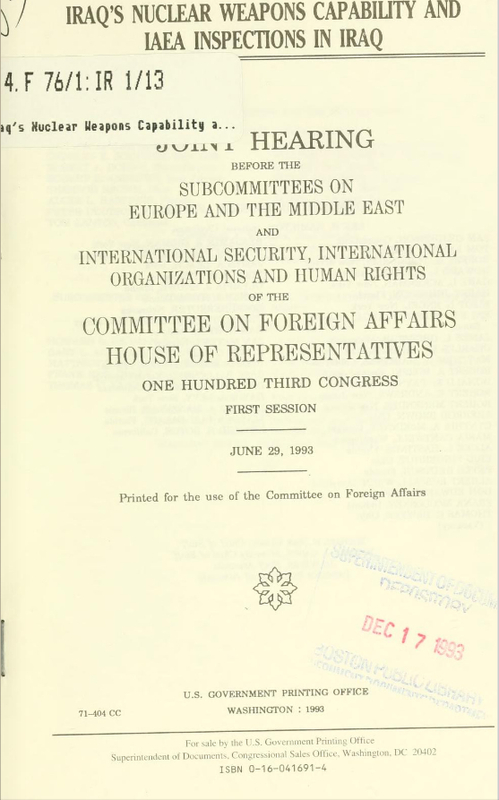 A 1993 report prepared by Kenneth R. Timmerman for the House Foreign Affairs Subcommittee on International Security, International Organizations and Human Rights, stated that Crescent (i) appeared to be working directly with the head of the Iraqi government’s unconventional weapons program and (ii) acquired technology for the Iraqi government for an aluminum smelting plant that officials suspected of smelting the aluminum used in Iraq’s uranium enrichment centrifuges. Crescent Petroleum tried to sell oil to American motorists to fund Iraq’s secret superweapons program, incuding Dr. Jafar’s Petrochemicals/3 nuclear weapons program. 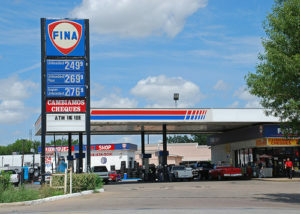 The deal with FINA fell through during the Gulf War and became the subject of multiple investigations in Congress and the Treasury Department. Excerpt from Critical Mass: The Dangerous Race for Superweapons in a Fragmenting Word, page 135. 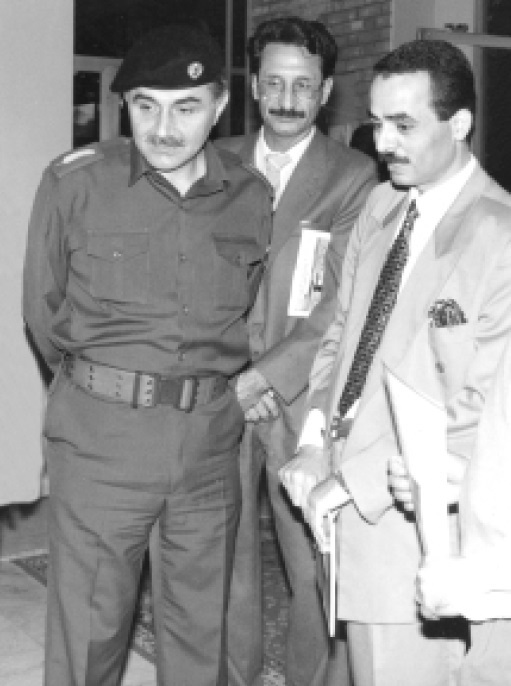 Crescent Petroleum CEO Hamid Jafar (left) cut a deal with Saddam’s superweapons czar Lt. Gen. Dr. Amir al-Saadi (right) and MIMI director Hussein Kamel al Majid to sell Iraqi oil to fund his brother’s nuclear weapons program. A copy of a letter sent by al-Saadi to Hamid Jafar was provided to Congress, proving the deal. Dr. Jafar’s expansive nuclear weapons program had 20,000 employees, 7,000 of whom were scientists and engineers. “Jafar’s empire included more than two dozen weapons plants, most of them clustered around Baghdad. He managed a legion of employees and remarkable laboratories that concentrated exclusively on fissile materials and their weaponization” according to the book Critical Mass: The Dangerous Race for Superweapons in a Fragmenting World. Saddam’s nuclear physicist Dr. Jafar Dhia Jafar. Image from Critical Mass: The Dangerous Race for Superweapons in a Fragmenting World. Dr. Jafar not only directed Iraq’s vast nuclear weapons program, he also led efforts to hide Iraq’s various WMD programs from United Nations UNSCOM IAEA inspectors between 1991 and 2003. (1) Stockpiles of chemical weapons were found in Iraq and injured U.S. troops according to heavily redacted intelligence reports obtained by the New York Times. These reports were kept classified. 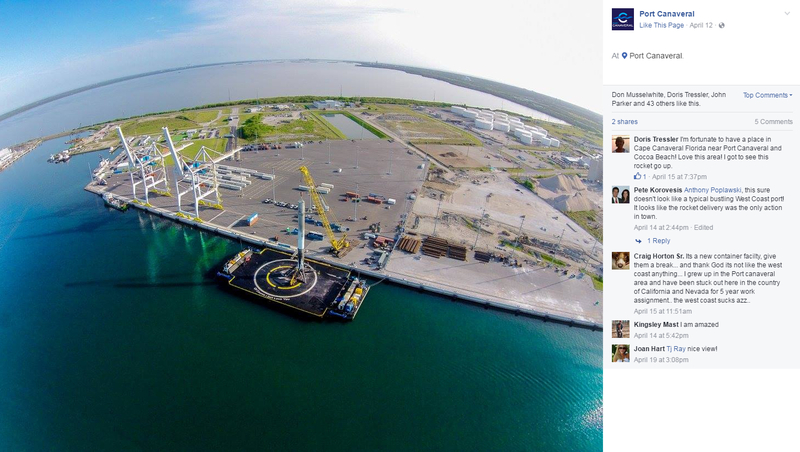 The Times published them on October 14, 2014, four months after Port Canaveral signed the Gulftainer deal. (2) Iraqi WMDs were moved into Syria via 56 sorties of Boeing 747 and Boeing 727 passenger jets that had been converted into freighters by removing seats from the cabins. This information came from retired Iraqi Air Force General Georges Sada, as explained in his book Saddam’s Secrets. 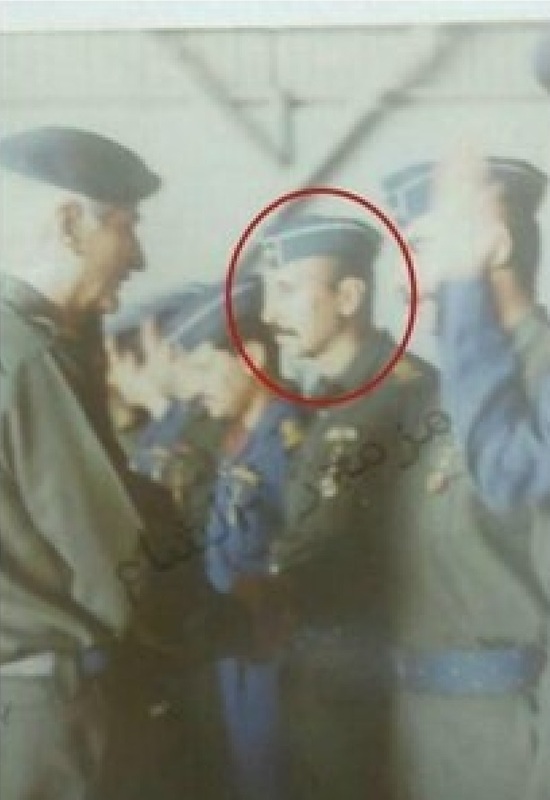 General Sada’s account was confirmed by statements from pilots who flew the sorties. Additional WMD materiel was moved into Syria via convoys of 18-wheeler trucks. An Iraqi Al Qaeda leader and nine others were arrested in a 2004 foiled plot to detonate 20 tons of chemical explosives which had been transported by truck from Syria into Jordan. Had the operation succeeded, it could have killed 80,000 people in Amman and would have likely collapsed the Jordanian government. The history of Iraq’s WMD transfers to Syria is further covered in Kenneth R. Timmerman’s book Shadow Warriors. (3) Dr. Jafar has once again been building Iraqi power plants, this time under the ruse of “infrastructure reconstruction.” Audio from the coalition-captured “Saddam Tapes” reveals Dr. Jafar telling Saddam that Jafar needed power plants to covertly transmit large quantities of electricity to secret underground uranium enrichment facilities. Several of Dr. Jafar’s new Iraqi power plants are located near former major WMD military industrial facilities. Dr. Jafar has also recently worked on fertilizer and water treatment plants. Dr. Jafar needed large amounts of electricity from the al-Haritha power station near Basra, Iraq to operate Dr. Jafar’s electromagnetic isotope separation (EMIS) uranium enrichment calutrons. This was a Manhattan Project era technology originally used at Oak Ridge National Laboratories to enrich uranium for the bomb dropped on Hiroshima. Dr. Jafar’s power stations, such as the power station in Basra, along with his uranium enrichment facilities, were repeatedly bombed by the U.S. military. Dr. Jafar adapted by hiding enrichment facilities underground and disguising military power stations as civilian power stations. Power transmission lines to the enrichment facilities were buried and fake power transmission lines to civilian areas were erected to confuse American intelligence officials analyzing U.S. spy satellite imagery. Saddam also referred to the military applications of fertilizer, which can be used to procure uranium. Dr. Jafar has recently been building power stations, fertilizer plants, and water treatment facilities. 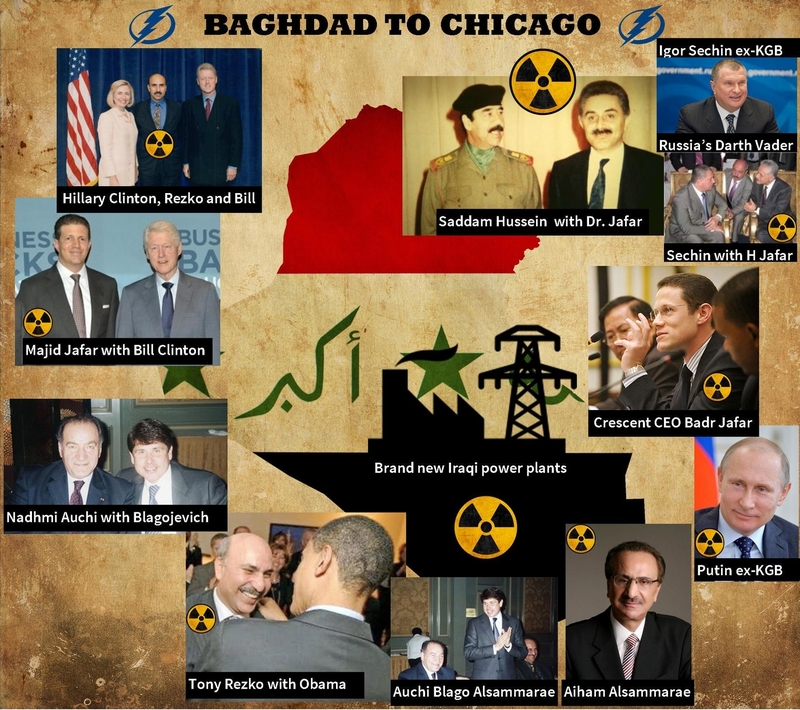 (4) President Obama’s corrupt Iraqi and Syrian associates in Chicago have shared Dr. Jafar’s keen interest in nuclear engineering and in building and owning Iraqi power stations. 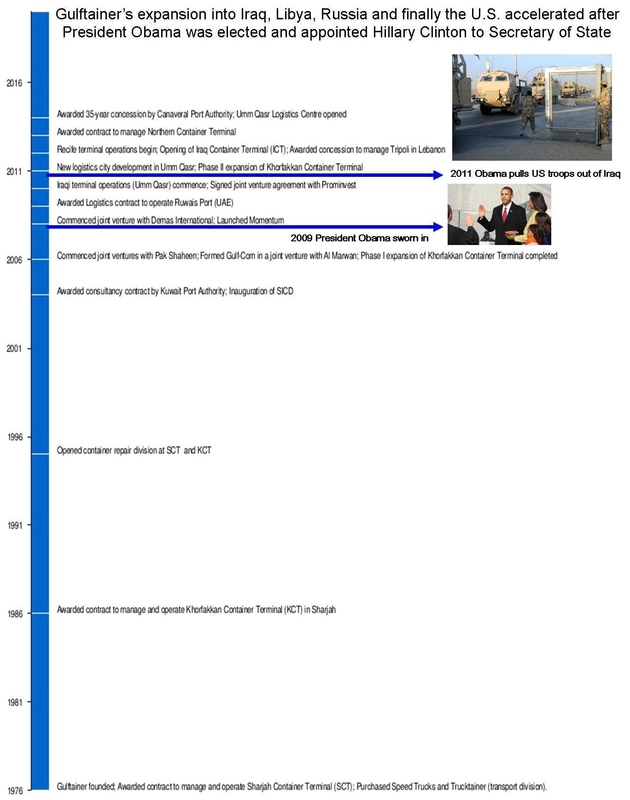 Antoin “Tony” Rezko, an engineer whose first job was designing nuclear power plants, attempted to build and own a new $150 million Iraqi power station in 2005. Iraqi billionaire Nadhmi Auchi has been described by Iraqi officials as a “Saddam guy” according to a 2008 report. “Rezko and Auchi…teamed up recently on a $150 million contract to build a power plant in Iraq” noted Crain’s Chicago Business. 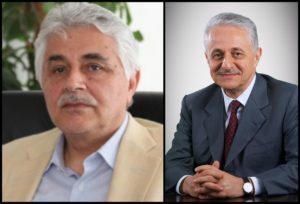 U.S. officials grew suspicious after learning that Rezko attended the Illinois Institute of Technology with his friend, the Iraqi Minister of Electricity, Aiham Alsammarae. Alsammarae awarded Rezko the contract. Rezko and disgraced Illinois Governor Rod Blagojovich tried to secure a $50 million contract to train 150 Iraqi power station security guards at an Illinois military base. Senator Obama’s staff devoted considerable resources looking into the possibility of Senator Obama formally introducing Rezko’s company Companion Security to Iraqi ministers. Rezko and Blagojovich, longtime supporters of Barack Obama, both ended up in prison. Iraqi Minister of Electricity Alsammarae reportedly stole between $400 million and $2 billion from the Iraqi and American people. He was arrested in Iraq then broken out of jail by private contractors, escaping Iraq via private jet. Alsammarae called his own escape “The Chicago Way” and is currently wanted in Iraq, while living at large in Chicago. (5) Senator Obama traveled to Iraq in 2006 to meet with reconstruction officials. (6) Former President Bill Clinton co-chairs an education campaign alongside Dr. Jafar’s nephew, who is also a Crescent Group executive. The organization is funded by the Varkey GEMS foundation, that paid Bill Clinton $5.6 million to serve as “Honorary Chairman” and that helped raise $70 billion in commitments for the Clinton Global Initiative. Hillary Clinton is connected to former Port Canaveral CEO John E. Walsh. 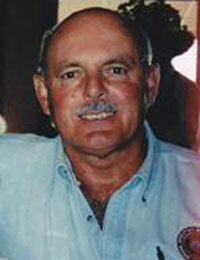 Walsh, who had not previously worked in the ports industry, oversaw the Gulftainer deal. Walsh is Founding and Senior Partner of WatersMark Holdings, a mysterious developer of Arab-themed resorts. Walsh’s WatersMark partners include a former senior adviser to the Hillary Clinton 2008 presidential campaign and representatives of the UAE and Saudi royal families. 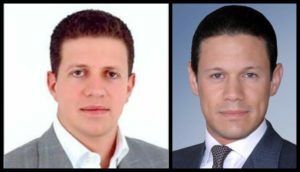 Both WatersMark and nuclear engineering firm KCI Engineering Consulting, owned by Rezko associate Alsammarae, are based in the Caribbean offshore-banking haven of Anguilla. (7) Many top Islamic State leaders are former high-ranking Baathist Iraqi military officers who served under the Saddam regime according to Reuters. 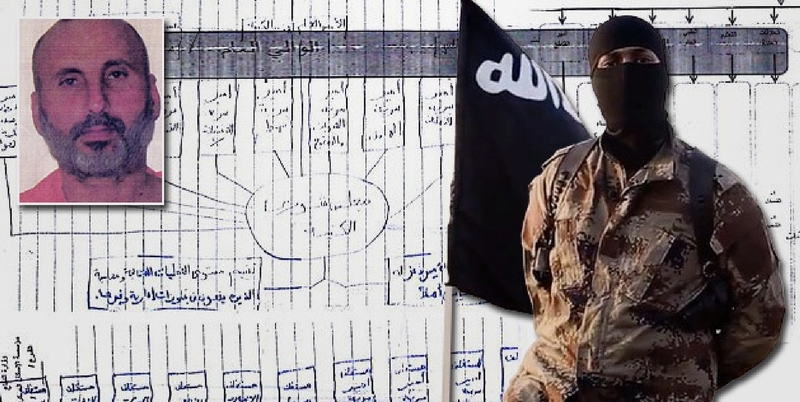 It was discovered recently that former Saddam Baathist Haji Bakr (Samir Abd Mouhammad al-Khleifawi) was the mastermind who designed the architecture of Islamic State intelligence operations according to Der Spiegel. The former Iraqi Air Force colonel worked for Saddam’s much-feared intelligence apparatus. 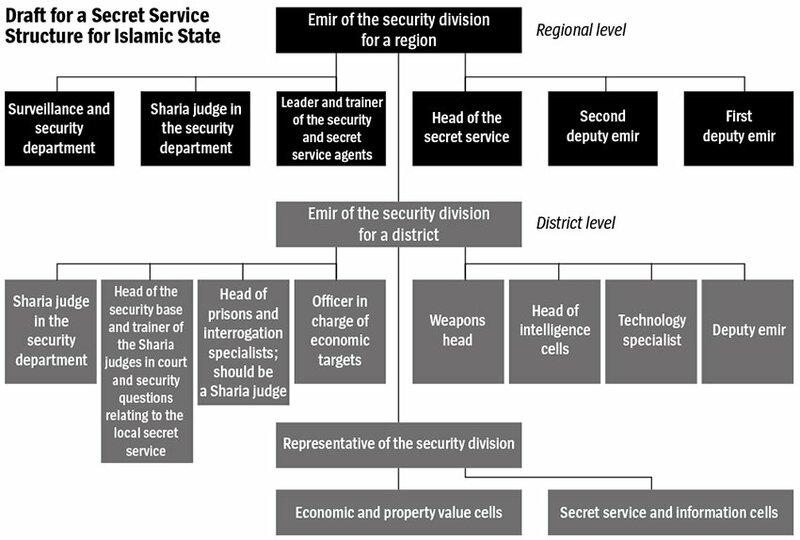 Bakr modeled the Islamic State intelligence framework after Saddam’s secret police network and Lenin’s Soviet “Reign of Terror” program of violence, intimidation and murder. 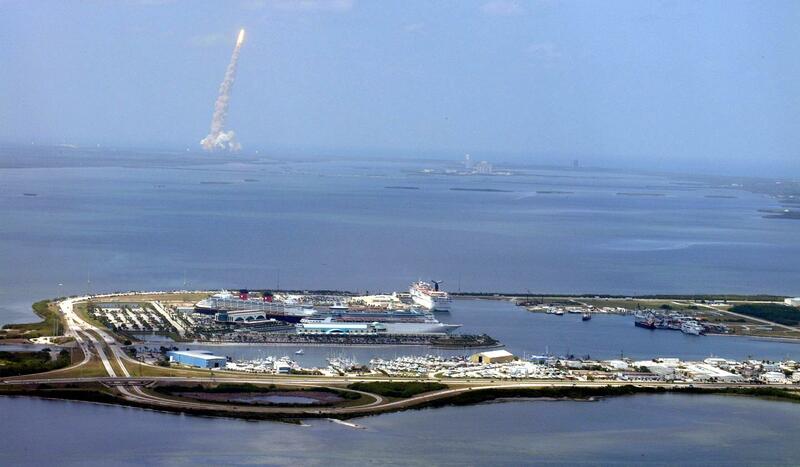 PORT CANAVERAL, FL – Launch from Kennedy Space Center, ten miles north of the Port Canaveral. Three cruise ships are docked at passenger terminals. Port Canaveral, a scenic Atlantic Ocean gateway located fifty miles east of Orlando, is a Department of Defense strategic seaport and a key component of United States critical infrastructure. 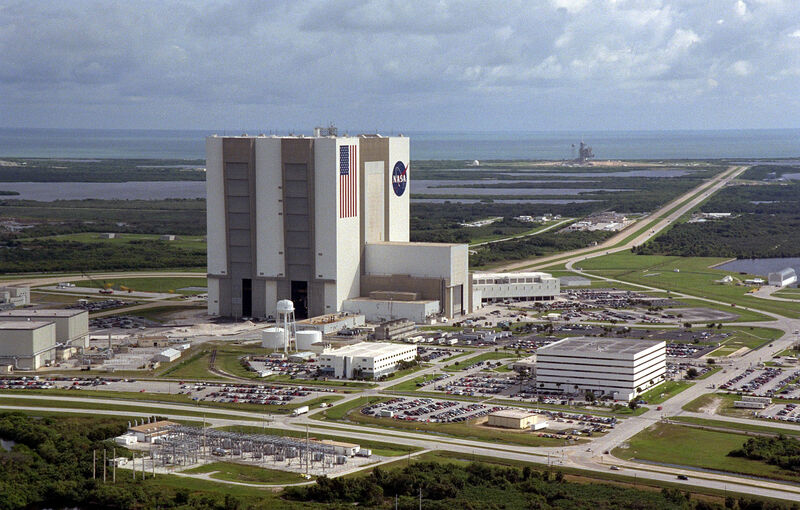 Port Canaveral is the crown jewel of American space exploration and NASA, and a place where high-stakes missions for the U.S. Navy’s nuclear submarine fleet and classified defense and spy satellite programs are undertaken. Two out of three components of the United States “nuclear triad,” which reduces the likelihood that an enemy could destroy all of America’s nuclear forces during a first-strike attack and increases deterrence, rely on Port Canaveral and the national security installations adjacent to the port. The Titan and Minuteman intercontinental ballistic missiles (ICBMs) are just two of the nuclear weapon delivery systems that were tested from Cape Canaveral Air Force Station, one of the world’s premier space launch and missile testing facilities. The U.S. Navy’s submarine-launched ballistic missile (SLBM) program conducts missile testing and other classified activities at Naval Station Port Canaveral. US Navy attack submarines and bigger Ohio-class ‘boomers’ carrying submarine-launched ballistic missiles armed with nuclear warheads dock at US Naval Facility Port Canaveral’s Trident Wharf. NATO submarines from Britain’s Royal Navy and the Royal Canadian Navy also call on Port Canaveral. United Launch Alliance Delta IV rockets carrying classified National Reconnaissance Office (NRO) spy satellite payloads for the CIA and the Pentagon launch from Cape Canaveral Air Force Station. U.S. Coast Guard Station Port Canaveral is located a few meters away from Crescent’s GT USA container terminal. Multiple Coast Guard cutters dock at the base. Crescent’s GT USA’s container terminal is also adjacent to Seaport Canaveral Fuel Terminal, a 36 acre petroleum tank farm with storage capacity of three million barrels. The terminal is one of Florida’s major points of entry for gasoline, diesel and jet fuel. A 50 mile pipeline connects Seaport Canaveral Fuel Terminal with the Orlando International Airport, America’s ninth busiest airport. Fuel Terminal Seaport Canaveral sits adjacent to GT USA’s container terminal. Port Canaveral also handles up to six world-class cruise ships per day. These are “floating cities” that accommodate up to 8000 passengers and crew per vessel. Cruise lines Disney, Norwegian, Carnival and Royal Caribbean International have transformed Port Canaveral into the second-busiest cruise ship port in the world, ranked just behind the Port of Miami. Approximately four million tourists pass through Port Canaveral’s passenger terminals each year. 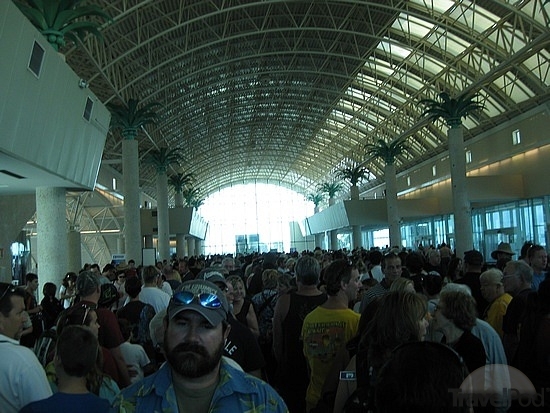 PORT CANAVERAL, FL – Passengers wait inside one of Canaveral’s cruise ship terminals. Gulftainer operates cargo container terminals in Iraq, Saudi Arabia, UAE, Pakistan, Lebanon, Turkey, Brazil, and Russia. Gulftainer recently considered redeveloping the Port of Benghazi, Libya. Gulftainer/GT USA could not have picked a worse time to enter the U.S. container market. The Baltic Dry Index and the Containerized Index have hit all-time lows. There is no logical business reason for Gulftainer/GT USA to have leased a cargo container terminal in Florida. Baltic Dry Index from Zero Hedge. In 2012 Gulftainer tried to “take over control” of the Port of Jacksonville, just 31 miles from Naval Submarine Base Kings Bay. Gulftainer also set its sights on the Port of Baltimore and “ports in the Northeast United States” in 2013. An anonymous source overheard senior Gulftainer officials discussing the Port of Galveston. The Port of Galveston is located 31 miles from NASA’s Johnson Space Center. 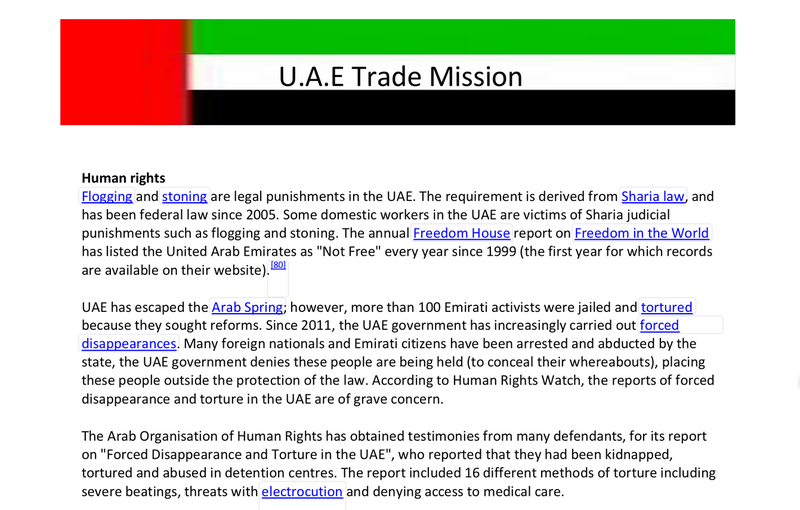 The deceptively-named GT USA is a shadowy, UAE-based operation. Gulftainer’s Port Canaveral terminal has been eerily and inexplicably quiet. Gulftainer’s GT USA promised a $100 million investment and 500 jobs at the port itself, as well as 2000 indirect and spin off jobs, depending on business conditions. Now, more than two years after signing the Port Canaveral lease, Gulftainer’s Peter Richards has admitted to investing under $5 million plus port payments and only hiring around 30 people, including security guards and stevedores. The international container business is flat to non-existent. One wonders what Gulftainer is doing in Port Canaveral, one of America’s most sensitive national security zones. 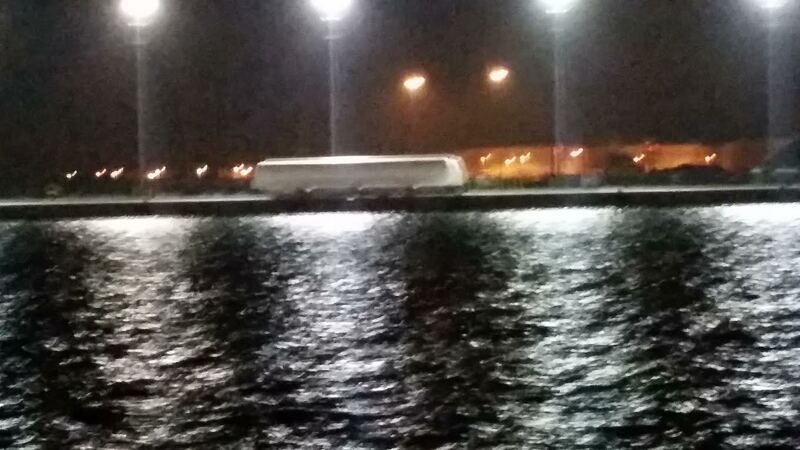 Crescent’s Gulftainer has gained access to SpaceX Falcon 9 rockets through a Port Canaveral dockage services contract. The SpaceX Falcon 9 is an innovative reusable launch vehicle. The vehicle is equipped with a first main stage rocket capable of landing itself upright aboard an “autonomous spaceport drone ship” floating on the ocean. 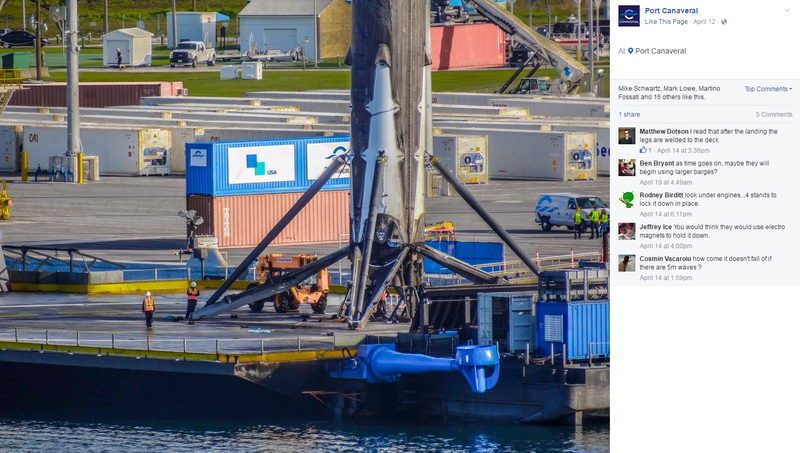 The drone ship is then towed to Gulftainer’s container terminal for recover of the $60 million first stage rocket. SpaceX was recently awarded certification to handle classified missions for the U.S. government. SpaceX is scheduled to launch a classified payload for the National Reconnaissance Office from Cape Canaveral Air Force Station in March 2017. A SpaceX Falcoln 9 exploded on the launch pad at Cape Canaveral Air Force Station on September 1, 2016. Multiple explosions, audible from several miles away, destroyed the Falcoln 9 and its payload. The payload was a $200 million Amos-6 communications satellite, the largest satellite Israel has ever built. Gulftainer’s handling of the SpaceX Falcon 9 rocket is revealed in the official Port Canaveral SpaceX Rocket Facebook photo album. Because of Project Pelican, Port Canaveral is confronted with the apocalyptic scenario of a smuggled Iraqi nuclear, chemical, or biological weapon detonating inside one of the America’s most sensitive national security zones. 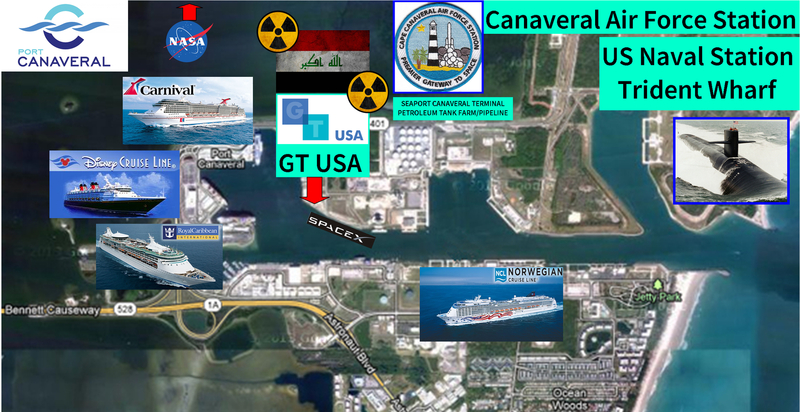 Port Canaveral could also be used as a point of entry for delivering nuclear weapons or other WMDs to several other locations inside the United States. 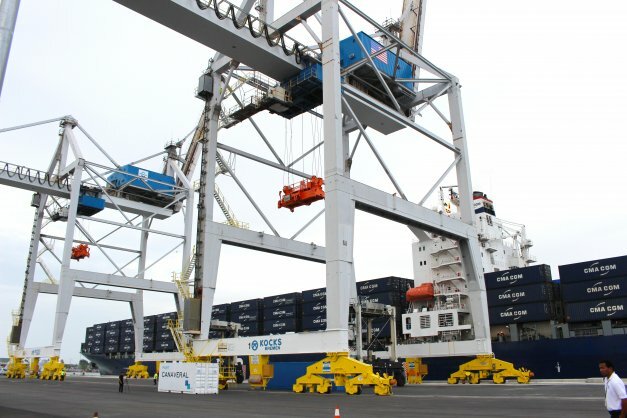 Crescent/Gulftainer/GTUSA’s contract with Port Canaveral stipulates the establishment of rail service from the Gulftainer container terminal. 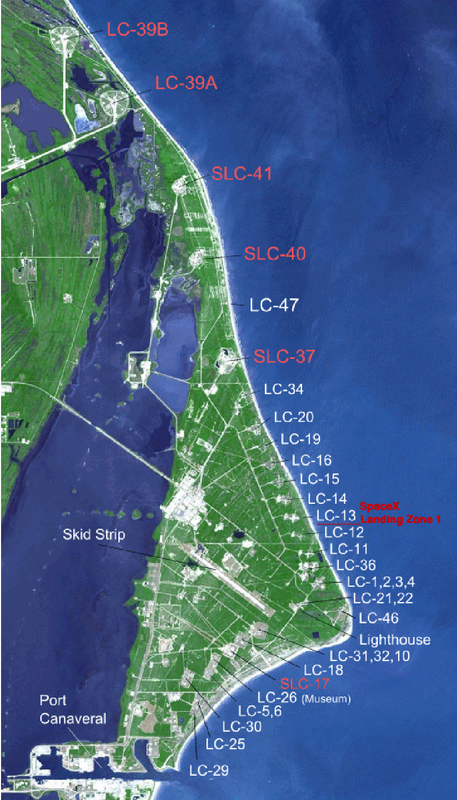 Port Canaveral is considering building a new rail line through Cape Canaveral Air Force Station, but the proposal faces opposition from officials who have noted that GT USA’s container volume is virtually non-existent. Local residents are opposed to the rail line. If something were to happen at Port Canaveral, it would be akin to a combination of Pearl Harbor and 9/11, though exponentially more devastating. The military went to Iraq. Now Iraq has come to the military. In military jargon, “inside the wire” refers to the presumably-safe zone within a military base, protected by barbed-wire from dangers “outside the wire.” When hostile forces penetrate a military base, the enemy is considered “inside the wire” and the base is in danger of being overrun or destroyed. When Port Canaveral officials made a surprise announcement in the summer of 2014 that a UAE company had taken over the port’s container cargo operations, local military officials were caught off guard. Command-level officials at nearby Patrick Air Force Base were never briefed by Pentagon, Homeland Security, or intelligence officials about the numerous connections between their new “neighbors,” Saddam Hussein’s terrorist regime and the mastermind of Iraq’s much-feared nuclear bomb program. Officers from Patrick, speaking off the record last year, termed Gulftainer’s sudden arrival at Port Canaveral “a national security nightmare.” “The Defense establishment is not happy” said a source. When those words were spoken, base commanders had no idea about Gulftainer’s connection to Saddam’s nuclear physicist. 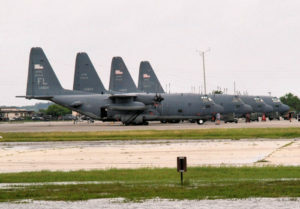 Military personnel stationed at Cape Canaveral Air Force Station, Coast Guard Station Port Canaveral, and Naval Facility Port Canaveral were also left in the dark. The enemy was in their own back yard and their own government withheld that fact from them. Treasury Secretary Jacob “Jack” Lew, chair of the Committee on Foreign Investment in the United States (CFIUS), declined to perform a National Security Threat Analysis of the Project Pelican Gulftainer/Port Canaveral transaction. In 1993, while Lew was Special Assistant to President Bill Clinton and a member of the National Security Council, Crescent was under investigation by Treasury and three Congressional committees (Foreign Relations, Banking, and Ways and Means) as a front company for Saddam Hussein. The relationship between Crescent and Iraq’s superweapons program, including Saddam’s nuclear weapons program, was a focus of investigation. The stealth Project Pelican deal, “in the works for a year” according to Florida Today, ignored CFIUS laws that were enacted to protect the nation from foreign national security threats. 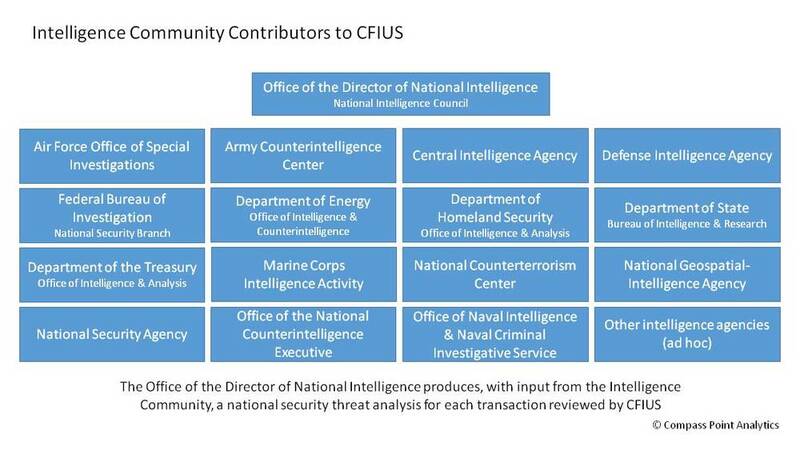 Under CFIUS, the Treasury Department is required to order a comprehensive National Security Threat Analysis from the Director of National Intelligence of any covered transaction involving U.S. assets and interests. 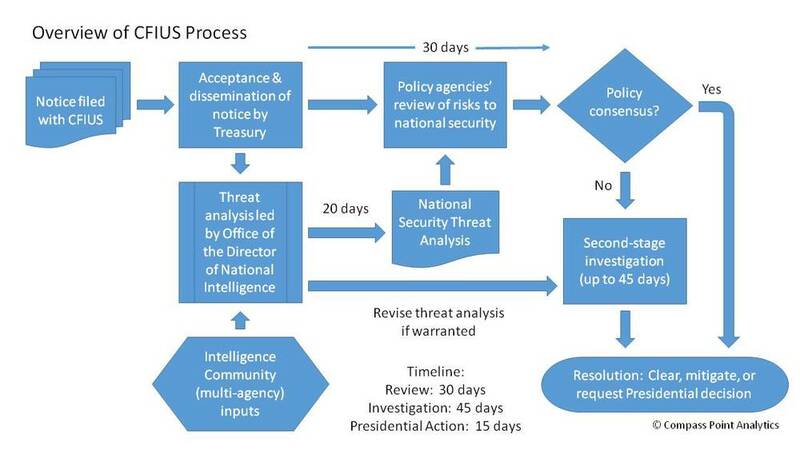 This mandatory threat analysis is to be conducted with input from a veritable alphabet-soup of U.S. government agencies (including Treasury’s Office of Intelligence & Analysis, CIA, FBI, DIA, NSA, DoD, military intelligence, DHS, the National Counterterrorism Center, the Department of Energy’s Office of Intelligence and Counterintelligence, and the National Geospatial-Intelligence Agency). Additionally, in cases in which America’s space program could be affected, the NASA Counterintelligence/Counterterrorism Program can be tasked by the Director of National Intelligence to provide additional input for the CFIUS threat analysis. 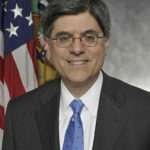 Secretary Lew declined to conduct a National Security Threat Analysis of the Project Pelican deal, despite the fact that the Treasury Department and three committees in the U.S. House of Representatives had investigated Crescent in 1993 to determine if it was a front group for Saddam Hussein. 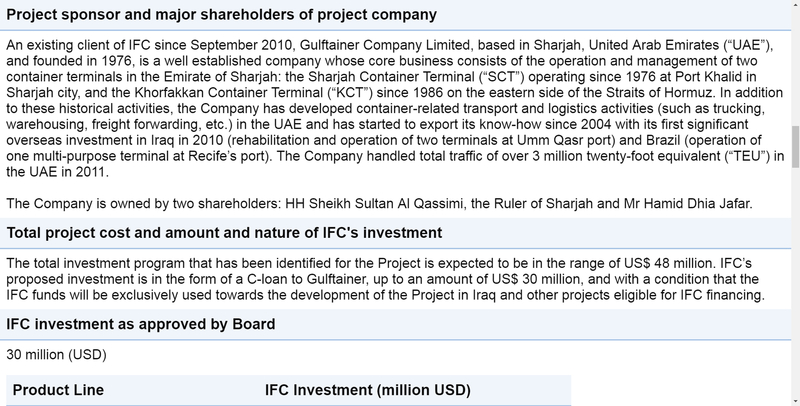 This IFC document therefore establishes Gulftainer as partially owned by a foreign government, the UAE. Crescent Petroleum was revealed to be a front company for the Iraqi government and Saddam Hussein in 1993. The Orlando Sentinel reported in 2015 that officials said the a national security review was not required because the GT USA Port Canaveral was a lease and not a purchase. Port officials said this week that the U.S. Homeland Security department and Federal Maritime Commission had reviewed information about the cargo operations. But an additional request for more review by the Treasury Department’s Committee on Foreign Investment (CFIUS) did not occur. Rep. Duncan Hunter , R-San Diego, had asked for a formal Treasury Department review of security issues due to a foreign-owned company operating port facilities. Port spokeswoman Rosalind Harvey said that never happened. “After extensive filing of all required paperwork to U.S. Treasury Department officials, the panel found that no review was required because the agreement was a lease and not a purchase of Port assets,” Harvey said. The argument that the Gulftainer/GT USA deal did not require a CFIUS review because it “was a lease and not a purchase of Port assets” simply does not hold water. Had the Obama administration adhered to the law by conducting a CFIUS National Security Threat Analysis, Gulftainer would have been flagged as a national security risk and denied access to Port Canaveral. 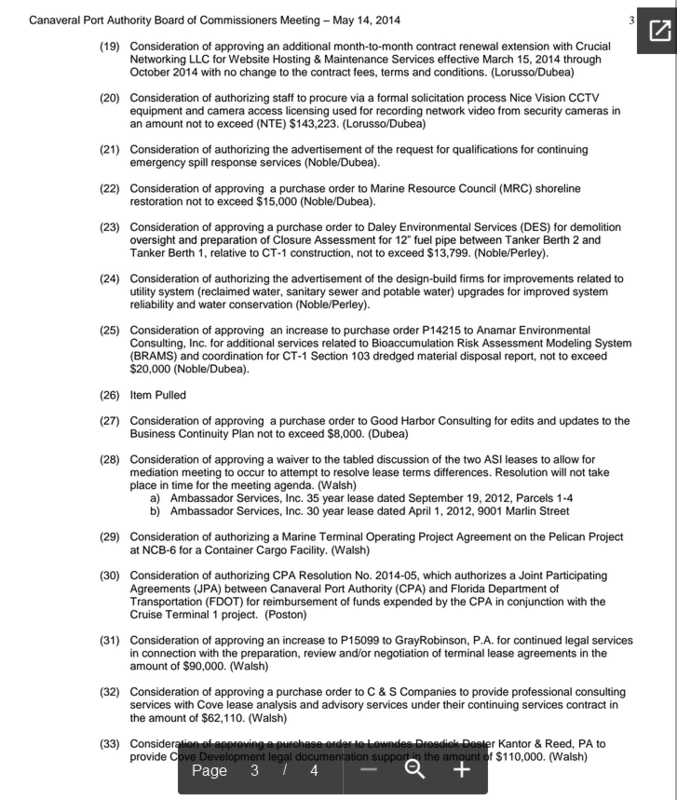 The Canaveral Port Authority’s deal with Gulftainer also violates Florida’s ‘Sunshine Law,’ which was enacted “to prevent at non-public meetings the crystallization of secret decisions to a point just short of ceremonial acceptance.” The Sunshine Law established open-bidding and public notice requirements for Florida government agencies and municipalities. Florida Governor Rick Scott, contacted on May 19, 2016 via email and phone calls to his press secretary Jeri Bustamante, never responded to a request for comment about Project Pelican’s violations of the Florida Sunshine Law and reports that Gulftainer had trafficked weapons in the Middle East. The Department of Homeland Security scans only four percent of shipping containers entering the United States and repeatedly exploits a loophole to evade the Congressional mandate to implement 100 percent scanning. “A league of U.S. lawmakers are not content with the roughly four percent of import containers screened under the current system. They believe that U.S. ports could be the next gateway for — or, indeed, a target of — terrorist threats” the Journal of Commerce reported on July 7, 2016. DHS Secretary Jeh Johnson’s grandfather was investigated for Communism by the House Un-American Activities Committee. Secretary Johnson completely eliminated federal anti-terrorism grants for Central Florida after 2014 “because the threat of terror here was judged to be too low” reported the Orlando Sentinel. Johnson’s decision baffled and angered U.S. Rep. John Mica (R-FL) and Senator Bill Nelson (D-FL). The Project Pelican deal followed furious objections by both the public and Congress to the previous UAE Dubai Ports World deal in 2006 that was stopped dead in its tracks. 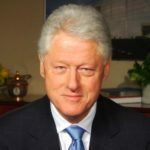 In 2006 former President Bill Clinton coached United Arab Emirates officials on how to develop a public relations strategy to salvage the Dubai Ports World deal reported the Los Angeles Times. Sheikh Al Qassimi’s wife Sheikha Jawaher bint Mohammed Al Qasimi is the United Nations High Commissioner for Refugees (UNHCR) Eminent Advocate for Refugee Children. Accused of hypocrisy, the UAE has accepted zero refugees while demanding that other nations open their borders, according to Amnesty International and a CNN report. Congressman Duncan D. Hunter (R-CA), an Operation Iraqi Freedom (OIF) Marine Corp veteran, chairman of the House Transportation Committee Subcommittee on Coast Guard and Maritime Transportation, and a member of the House Armed Services Committee, was the lone voice in Washington raising national security concerns about the Gulftainer deal. IRAQ- Capt. 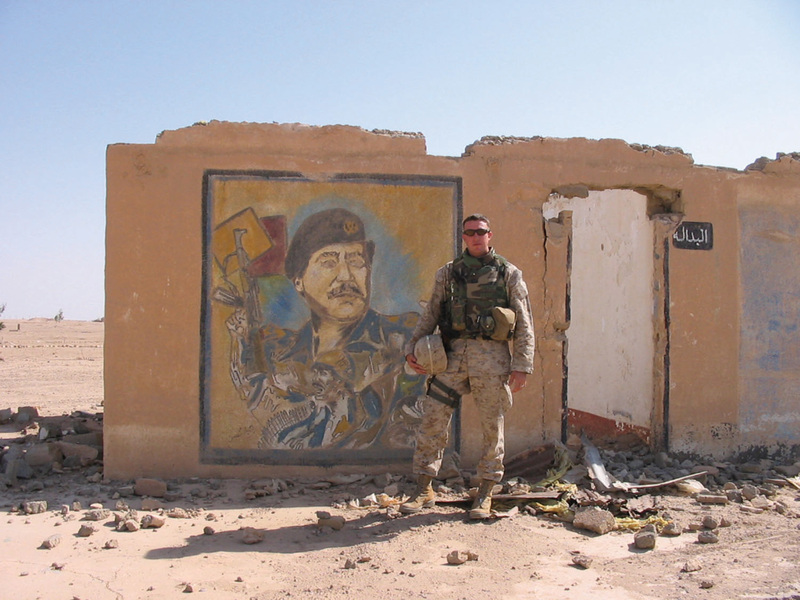 Duncan D. Hunter USMC stands beside a mural of Saddam Hussein. As a member of Congress representing California, Hunter asked Treasury Secretary Lew to conduct a CFIUS national security review of GT USA, to no avail. Rep. Hunter wrote a formal letter to Treasury Secretary Lew, noting that the Port Canaveral deal marked the first time a “Middle Eastern company will fully operate a U.S. cargo terminal.” Congressman Hunter asked Secretary Lew to conduct a CFIUS national security review of the transaction, to no avail. Hunter’s father, former Congressman Duncan L. Hunter (R-CA), battled against the Dubai Ports World deal. “Regarding Dubai Ports World, CFIUS approved the deal initially but once members of Congress got wind of it, all hell broke loose” reported Forbes. Samir Abd Muhammad al-Khlifawi, a.k.a. Colonel Bakr a.k.a. 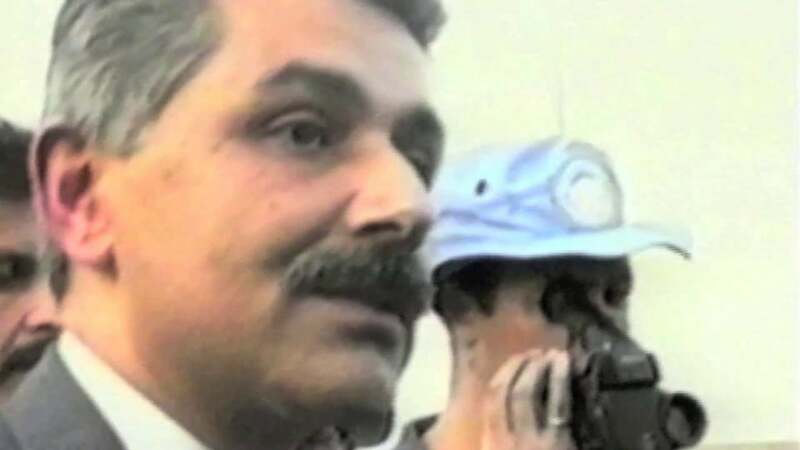 Haji Bakr, a former Baathist colonel in an elite intelligence unite for Saddam Hussein’s regime, was the mastermind behind the ISIS organizational architecture . Bakr was reportedly involved in weapons development for Saddam’s military and had some WMD expertise. Port Canaveral officials, “Jack” Lew and the Treasury Department, and the U.S. government at large, have invited the doomsday scenario of a smuggled Iraqi nuclear weapon or other WMD, such as a chemical bomb or biological agents, detonating inside one of the America’s most sensitive national security zone. A similar scenario was discussed by Dr. Jafar and Saddam Hussein. PORT OF TIANJIN CONTAINER TERMINAL, CHINA – AUGUST 12, 2015 – Aftermath of cargo container explosions, captured on drone video. 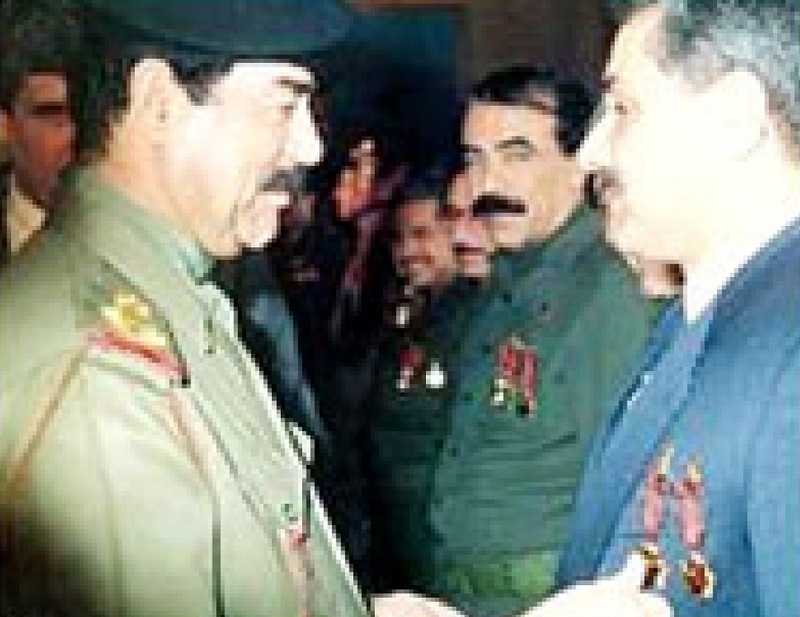 Crescent/Gulftainer/GT USA is “intimately connected” to Saddam Hussein’s brutal Baathist regime. They are in control of thousands of ocean shipping containers, presenting a clear and present danger to Port Canaveral, adjacent military and space installations, the cruise ship industry, and the country as a whole. President Obama has transferred national security-sensitive Port Canaveral to Iraqis connected to Saddam’s nuclear weapons program. It is beyond stunning that Dr. Jafar went from being Iraq’s top WMD scientist targeted for capture by U.S. forces to seeing Obama/Clinton officials hand Dr. Jafar and his family the keys to Port Canaveral, the heart of America’s space program and the nexus of her national defenses. America’s ports are the keystone to her critical infrastructure. When Badr Jafar arrogantly bragged to CNBC about “owning and operating” an American port, six months before the deal was announced, he displayed his deep contempt for the American people and his pursuit of an ancient tactic, conquest through deception. When Obama/Clinton “public servants” who fashion themselves as globalist rulers form secret alliances with foreign powers in a treacherous conspiracy to give away what is not their’s to give, they too display their contempt for America, her people, and the rule of law. Whatever President Obama claims he is doing, assume he is covertly pursuing a polar opposite objective. Obamacare, Islamic State, employment, and the economy have all been presented to be what they are not. President Obama publicly proclaims that he is deeply concerned with nuclear proliferation and nuclear terrorism. Senator Obama, like his Iraqi and Syrian Chicago associates, was deeply interested in infrastructure reconstruction in Iraq, with a particular focus on power stations. In contrast, President Obama has been noticeably disinterested in American recovery following the Deepwater Horizon oil rig disaster and the 2016 Louisiana floods, which coincided with an Obama golf trip. Behind closed doors, President Obama, with help from Hillary Clinton and her staff, recklessly accelerates nuclear proliferation, enables nuclear terrorists, and pursues a terrifying scorched earth program. While dismantling America’s nuclear capabilities and Eastern European NATO missile defenses, and while purging Air Force and Navy nuclear command flag officers and NCOs for petty infractions, President Obama is enabling and funding Iran’s nuclear program and allowing the UAE to develop nuclear capability. The end result is that President Obama has unleashed a dangerous nuclear arms race in the Middle East among dangerous political actors with little to lose and even less respect for human life. Project Pelican is a dangerous backroom deal that was foisted on the American people in a despicable act of deception. Those entrusted with protecting U.S. critical infrastructure made an end-run around laws and regulations in order to redistribute America. Project Pelican, a secretly-negotiated and illegal deal, allowed an Iraqi company, with deep connections to Saddam Hussein and nuclear weapons, to get their hands on a 35-year port lease with access to sensitive national security maritime property. Dr. Jafar Dhia Jafar facing off with UNSCOM nuclear weapons inspectors in Iraq. Saddam recruited thousands of nuclear scientists, but Dr. Jafar was the best weapon Iraq had. Dr. Jafar Dhia Jafar (sometimes spelled Jaafar, Jaffar, al-Jafar or Ja’far), widely regarded as the mastermind of Saddam’s nuclear bomb program, directed efforts to steal atomic secrets from the West, to perfect Iraq’s uranium enrichment techniques, to build clandestine enrichment facilities, and to fully weaponize Iraq’s nuclear capabilities. 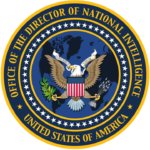 U.S. intelligence approached Dr. Jafar before the March 20, 2003 U.S. invasion of Iraq. American officials gave Dr. Jafar an opportunity to defect. Jafar declined. Dr. Jafar chose instead to remain inside Iraq during the invasion. Realizing the U.S. military would inevitably capture him, Jafar finally fled Iraq two days before the April 9, 2003 fall of Baghdad. On the run, Dr. Jafar moved through Syria, and then on to the UAE, where his brother Hamid had set up Middle East conglomerate Crescent decades earlier. Dr. Jafar underwent extensive interrogation by the CIA and MI6. U.S. officials regarded Dr. Jafar’s surrender as a major coup in the race to take down Saddam’s highest-ranking WMD scientists. Intelligence experts who interviewed him found Dr. Jafar to be the duplicitous and calculating genius others had reported him to be. His interrogators commented that Dr. Jafar seemed to be trying to elicit information from interrogators rather than to reveal it. Dr. Jafar was born in Baghdad in 1943 and received his Ph.D. in physics from the University of Manchester in 1965. Dr. Jafar’s grandfather founded the Iraqi Army and battled alongside T.E. Lawrence (of Arabia). Iraq’s first nuclear reactor was built by the Soviet Union. 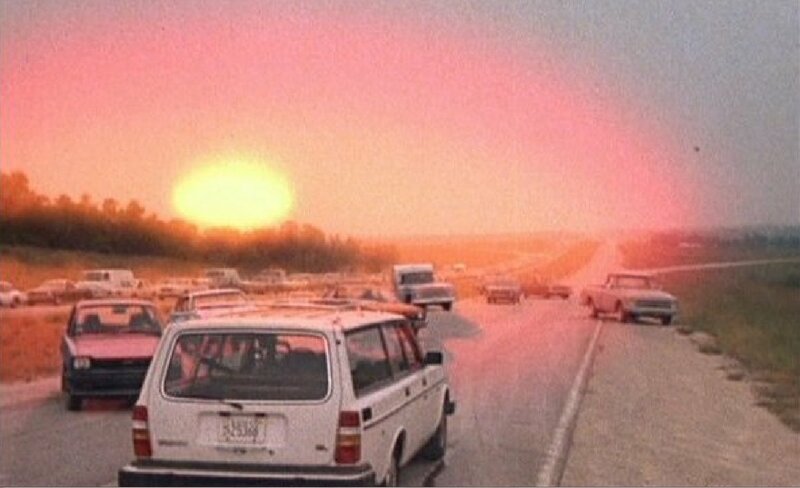 Before Iraq’s new Soviet reactor was commissioned, Dr. Jafar, fresh out of university, took a team to the Soviet Union to study nuclear fission technology, recalled Khidhir Hamza in his book Saddam’s Bombmaker: The Terrifiying Inside Story of the Iraqi Nuclear and Biological Weapons. Years later, Dr. Jafar would work with Russian operatives to camouflage Iraq’s nuclear weapons program as a non-military nuclear program. After spending time in the Soviet Union, Dr. Jafar subsequently spent four years during the 1970s at the European Organization for Nuclear Research (CERN), the particle accelerator laboratories in Geneva, Switzerland. 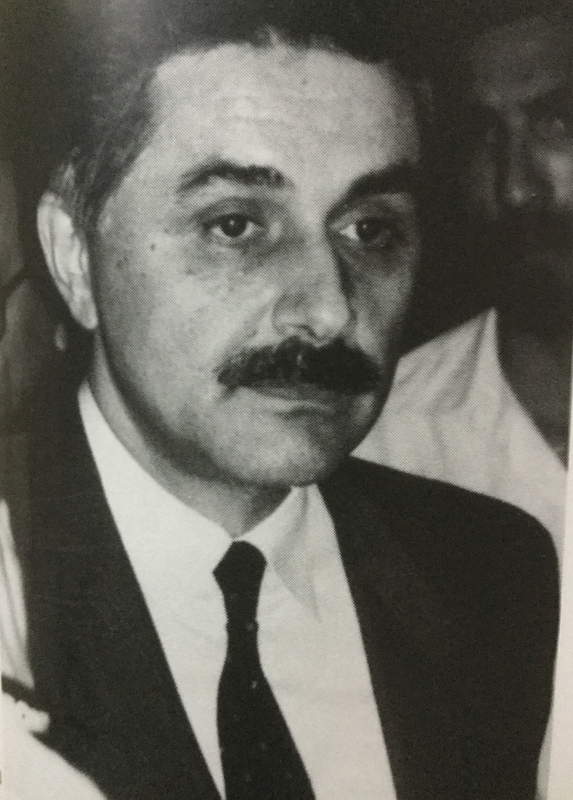 In 1979, Dr. Jafar dispatched Iraqi engineers to CERN to gather intelligence about magnets needed for Electromagnetic Isotope Separation (EMIS). EMIS, a process developed during the Manhattan Project, produced the highly enriched uranium used in the bomb dropped on Hiroshima, Japan in 1945. “The Iraqis did not come to Geneva by accident” concluded Geneva-based science journalist Dr. Suren Erkman. “It is now abundantly confirmed that Dr. Jafar was actively involved in Iraq’s clandestine nuclear weapon program since its very beginning, which includes all the time he had spent at CERN” according to a report by Swiss physicist Dr. André A. Gsponer, Director of the Independent Scientific Research Institute (ISRI) in Oxford, England. Iraqi dictator Saddam Hussein pins medals on the chest of nuclear physicist Dr. Jafar Dhia Jafar, the architect of Iraq’s nuclear weapons program. In 1982 Dr. Jafar commanded one of his subordinates, Iraqi nuclear scientists Imad Khadduri, to deploy on an espionage and procurement mission to California and Florida. Dr. Jafar tasked Khadduri, who was escorted by an intelligence officer and a security detail, to collect a “shopping list” of sensitive documents and specialized lasers that Jafar needed for Iraq’s uranium enrichment program. Acting at Dr. Jafar’s behest, Khadduri secured the lasers during a Miami airport swap with Indian agents, in exchange for a briefcase filled with $30,000 in cash. Saudi Arabia funneled at least $5 billion into Dr. Jafar’s nuclear weapons program via Gulf and Swiss banks according to classifed CIA, NSA, and DIA reports discussed in a PBS Frontline Documentary. In 1995 another source claimed that figure was closer to $25 billion. During the 1990s, Dr. Jafar was living “under high level protection in Baghdad” as the preeminent scientist of Saddam’s WMD program. Syria is where most of Saddam’s WMDs were moved. The operation to move these WMDs to was concocted by Ali Hussein al-Majid (Chemical Ali) and a cousin of Syrian President Bashar al-Assad. Tariq Aziz, meanwhile, stalled the return of UN inspectors to Iraq, thus buying Jafar and Chemical Ali time to move the WMDs. Former Iraqi General Georges Sada wrote in his book Saddam’s Secrets that Saddam’s WMDs were flown to Damascus, Syria via fifty-six sorties of Boeing 747 and Boeing 727 passenger jets that were converted to cargo planes by stripping the seats from the cabins. Convoys of 18-wheelers moved additional WMD material into Syria, under the control of fellow Baathist Bashar al-Assad. Dr. Jill Bellamy, Founding Director of Warfare Technology Analytics, based in the Netherlands, and Counter Terrorism Task Force Adviser at the United Nations, recently revealed that one of Dr. Jafar’s colleagues has likely set up WMD operations inside Syria. Dr. Rehab Taha, widely known as “Dr. Germ,” is a “devoted Baathist nationalist” and was one of Saddam’s top bioweapon scientists. Dr. Taha spent several years in custody in Iraq following the U.S. invasion. He also has been a vocal advocate for an increase in federal funding for Narcan (naloxone) programs to help fight the local oxycontin addiction epidemic. Dr. Bellamy was asked about Dr. Taha’s whereabouts during a March 2016 episode of the Lisa Benson Show. After Dr. Jafar was released from interrogation in 2003, he sought visas to enter Switzerland and the United Kingdom. Both requests were denied. Under the wing of his brother Hamid, Dr. Jafar launched “Iraqi owned” URUK Engineering and Construction in 2003. Set up as an affiliate of the Crescent Group, URUK almost immediately began winning contracts to build power stations, fertilizer plants, and water treatment facilities inside Iraq. Power stations, water treatment facilities, as well as certain types of fertilizer plants, can be re-purposed as components of a clandestine uranium enrichment program. Iraq is also known to have run buried power lines to underground enrichment facilities, simultaneously erecting decoy above-ground power lines to residential areas in a show for NRO/CIA “eye in the sky” satellites. The tapes were presented at the 2006 Intelligence Summit along with analysis from former Army intelligence officer John Loftus, former US Deputy Undersecretary of Defense John A. Shaw and intelligence experts with experience operating in Iraq. 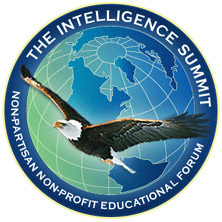 The Intelligence Summit was held in Crystal City, Virginia, near the Pentagon, and was broadcast on CSPAN. Playback of audio recordings featuring Dr. Jafar’s conversations with Saddam Hussein and other members of Saddam’s “inner circle” was presented by Bill Tierney. Tierney was a UN Weapons Inspector in Iraq between 1996 and 1998. He is also an Arabic language interpreter (Iraqi dialect) and former US Central Command (CENTCOM) headquarters intelligence analyst. Tierney’s presentation of these audio recordings of Dr. Jafar included translation, intelligence analysis, and PowerPoint slides . Tierney was interviewed by the Tampa Tribune in a December 4, 2002 article titled “Experts Predict Iraqi Nuclear Arsenal; Amount Uncertain.” The article is no longer available from the Tribune’s website but was preserved by an online forum. The Tampa Tribune also interviewed Wilfred “Squeak” Charette, who helped set up the CIA Counterterrorism Center in 1987. 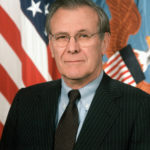 Charette, who died in 2010, held a Masters Degree in National Security and Strategic Studies, graduated from Naval War College, was commissioned as a foreign service officer, and was awarded a Career Intelligence Medal for Exceptional Achievement, two Director of Central Intelligence awards for exceptional service under conditions of hazard and hardship and the Distinguished Flying Cross. Charette’s analysis indicated that Saddam might hide and reserve his nukes or dirty bombs, holding back from using them against US forces in Iraq, instead saving them to detonate inside the United States and terrorize Americans. Charette doesn’t think so. He said the terror value of the weapon is so great, Iraq probably would try to plant one inside the United States or Europe instead. Tierney has reportedly stated that Saddam likely possessed an underground uranium enrichment facility. Tierney believes that Saddam may have concealed that facility underground, beneath a power station and adjacent to a water treatment plant. Today, Dr. Jafar’s Crescent company URUK Engineering and Construction is building electric power stations in Iraq, in addition to fertilizer and water treatment plants. Tierney also believes that Iraq was pursuing a rudimentary yet highly effective method of uranium enrichment called electromagnetic isotope separation (EMIS). This enrichment method was used by the U.S. during the Manhattan Project to build America’s first nuclear weapon. The EMIS process requires massive amounts of electricity. The conclusion that Dr. Jafar was using the electromagnetic isotope separation method to enrich uranium dovetails with a 2005 report published in “Science” magazine. A lengthy profile of Dr. Jafar reveals that he first pursued gas diffusion and laser isotope separation techniques, but failed. Lasers were difficult to obtain. In 1985, however, Dr. Jafar successfully separated fissile U-235 from U-238 using the electromagnetic isotope separation method. Suddenly, Dr. Jafar and Saddam were in the nuclear bomb business. They just needed electric power plants and massive facilities to house EMIS enrichment devices called calutrons. 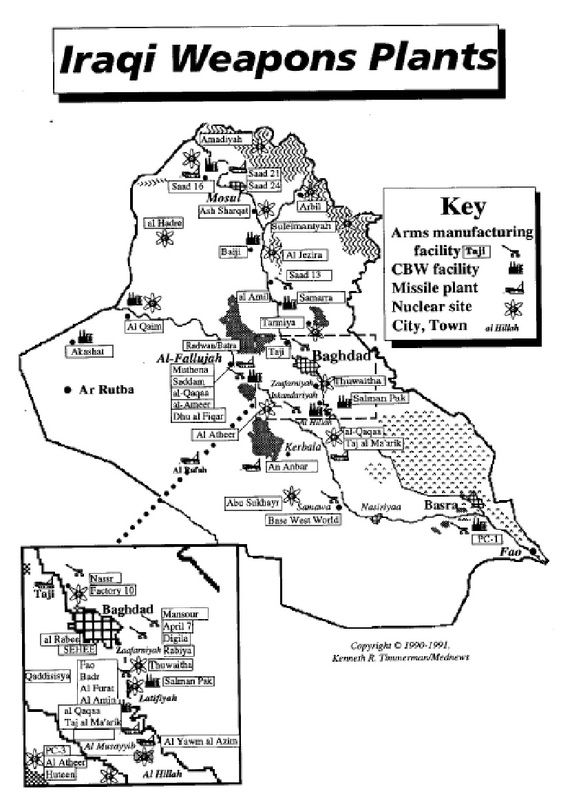 Dr. Jafar’s “industrial size” calutron EMIS enrichment facilities were “comparable in size to to the electromagnetic isotope separation (facilities) of the Manhattan Project, which developed the US atomic weapons in the 1940s, representing a four-to eight billion dollar investment on the Iraqi’s part” claims the book War on Iraq. Dr. Jafar needed large amounts of electricity from the al-Haritha power station near Basra, Iraq to operate Dr. Jafar’s electromagnetic isotope separation (EMIS) uranium enrichment cautrons. This was a Manhattan Project era technology originally used at Oak Ridge National Laboratories to enrich uranium for the bomb dropped on Hiroshima. Dr. Jafar wanted to keep nuclear weapons staff available on standby for reactivation of his nuclear weapons programs. 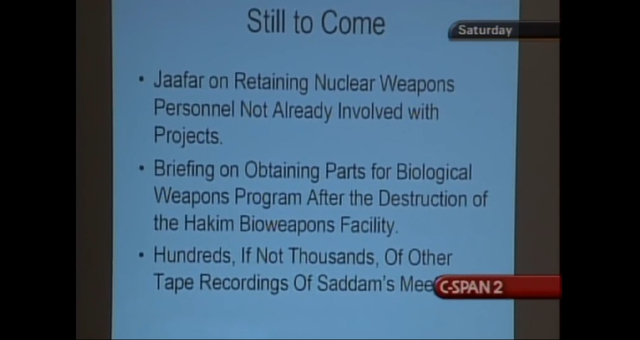 Based on conversations heard on the Saddam tapes, Dr. Jafar is very focused on using Iraqi power stations and fertilizer plants for uranium enrichment and nuclear weapons production. Former UN WMD inspectors focused on conversations between Dr. Jafar and Saddam regarding Iraq’s electric power plants. These power plants generated massive amounts of electricity Dr. Jafar needed to power the uranium enrichment facilities. Two other Crescent affiliates, Uruk Engineering and Contracting and Uruk Project Development, are providing oilfield services and building power stations and fertiliser plants in the rest of Iraq.The general manager of the Dubai-based Uruk Group is Jafar Jafar, a nuclear physicist and Hamid Jafar’s younger brother, who headed Iraq’s nuclear programme under Saddam Hussein. Recently, Dr. Jafar’s company URUK Engineering and Construction has worked on two power plants which are both located near major Saddam-era military industrial complexes: the brand new Taji Power Station and the rehabilitated of Baiji Power Station. Taji (also known as al-Taji), where URUK began built a new power plant in 2010, was a major Iraqi military-industrial center during the Saddam regime era. Under Saddam’s command, Taji was the location of Al-Taji airfield, a Republican Guard base, the largest tank maintenance facility in Iraq, chemical weapons production, nuclear weapons and missile production facilities, an oxide aluminum factory (missile casings production), R&D for missile launchers, an engineering center for the nuclear weapons program, epoxy and fiberglass for missile casings. Hussein Kamel, chief of Iraq’s Ministry of Industry and Military Industrialization, operated a torture center at Taji, accordin to Dhir Hamza’s book Saddam’s Bombmaker. 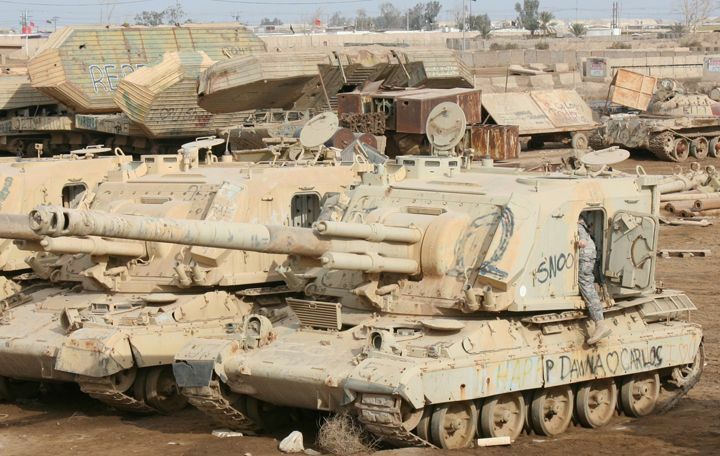 Iraqi tank graveyard at Taji. 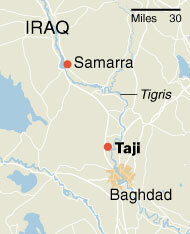 Taji was the location of Saddam’s largest tank maintenance facility and an air field. 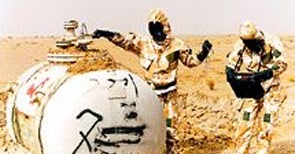 Taji also produced chemical weapons and guided missiles for Iraq’s nuclear weapons program. URUK built a new power plant at Taji in 2010 after the withdrawal of most U.S. forces. Coalition forces took over Taji in 2003 and it was once one of the largest U.S. bases in-country during OIF. Much of Camp Taji was turned over to the Iraqi government in 2010, the year Dr. Jafar started constructing the Taji power plant. Today, a small U.S. force trains Iraqi soldiers at Camp Taji. Many of the 140 M1A1 Abrams tanks given by the U.S. and delivered in 2012 to Iraqi Army tank units based at Camp Taji have already been captured or destroyed by ISIS. Baiji Power Station is located much farther north, along the Tigris River in the area of Jabal Makhoul, which means “under the mountain.” This location is 40 km north of Saddam’s hometown of Tikrit. Baiji is near underground complexes beneath a mountain that were suspected of housing Saddam’s uranium enrichment facilities. 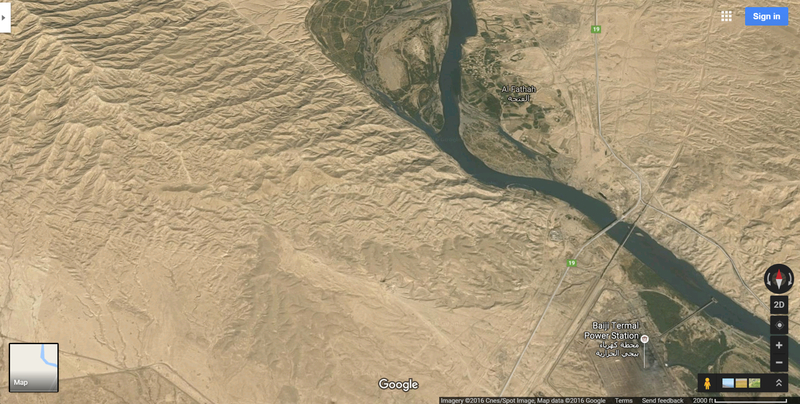 Baiji Power Plant has fallen in and out of Islamic State control. Dr. Jafar’s new electric power stations, fertilizer factories and water treatment plants in Iraq should give rise to concern. Gulftainer has other troubling associations. 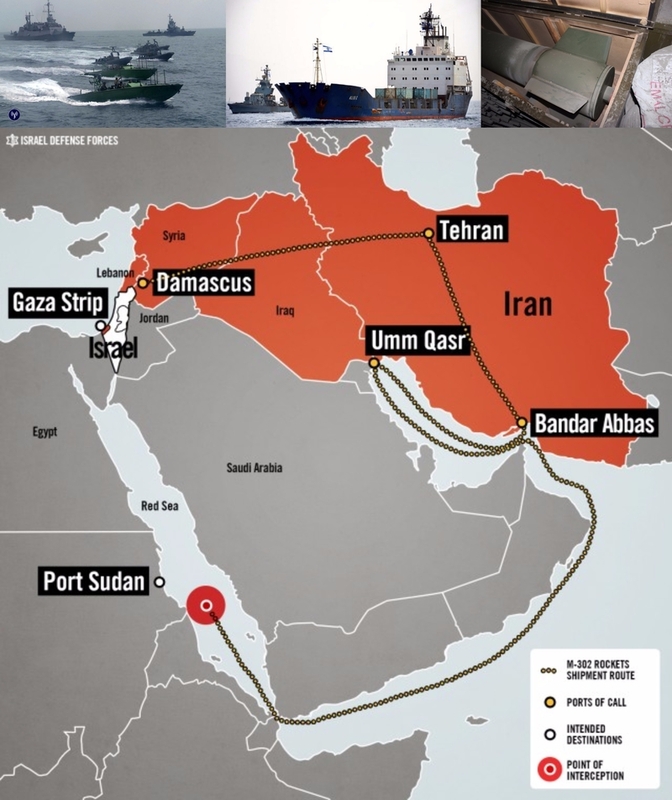 Gulftainer reportedly shipped weapons through the Port of Umm Qasr, Iraq to two Iranian-backed terrorist militia groups operating in Iraq, the Badr Brigades and Asaeib Ahl al-Haq (AAH), according to a leak from Iraq General Port Company officials in Basra to Iraqi media. A former senior official with a coalition embassy in Iraq confirmed that the report, which was published in Arabic by electronic newspaper Al-aalem Al-jadeed on February 10, 2015, charges that Gulftainer moved weapons to terrorist groups the Badr Brigades and AAH. “The Badr Brigade, for one, targeted hundreds of American troops in Iraq with Iranian-provided explosively formed projectile bombs, one of that war’s deadliest weapons” according to the Daily Beast. General Suleimani commands Iran’s elite Quds force and was “the shadowy figure behind the killing of Ambassador Christopher Stevens in Benghazi, Libya” according to Kenneth R. Timmerman. Of further concern, the Israel Defense Forces (IDF) intercepted the Panamanian-flagged cargo ship KLOS-C in the Red Sea on March 5, 2014 during “Operation Full Disclosure.” The freighter was smuggling heavy rockets, Kalashnikovs, and other weapons. The shipment originated in Damascus, Syria. The weapons were concealed inside shipping containers of cement and loaded aboard the KLOS-C at an Iranian port. The ship sailed on to Port Umm Qasr where Gultainer operates several container terminals. At Umm Qasr more cement was added to further conceal the weapons before the ship departed for Sudan. IDF commandos captured the freighter before the weapons reached their final destination of Gaza. Gulftainer received a half billion dollar investment from the World Bank’s International Financial Corporation (IFC) to fund their Umm Qasr, Iraq terminal operation. The expansion of Gulftainer’s port operations into Iraq’s and other countries gained momentum after President Obama came into office. To understand Project Pelican and why it is an existential threat requires examining the dark history of Crescent and Iraq’s Jafar family as well as the American political players who came to the deal with their own tainted personal histories. Former President Bill Clinton met in Dubai, UAE with Majid Jafar, nephew of Dr. Jafar Dhia Jafar, just 60 days before the ‘Project Pelican’ deal with a publicly-unnamed cargo container terminal operator (secretly known only by insiders to be Gulftainer) was unanimously approved by Port Canaveral. Majid Jafar co-Chairs, alongside former President Clinton, Business Backs Education, a United Nations UNESCO-run global educational campaign. The campaign is funded by the Varkey GEMS foundation, a contributor to the Clinton Global Initiative. Bill Clinton was paid $5.625 by Dubai’s GEMS Education to serve as “Honorary Chairman” of the Varkey GEMS Foundation between 2011 and 2014, according to detailed tax returns released by Hillary Clinton ahead of the 2016 presidential elections. Compensation for 2015 was not disclosed. Hillary Clinton is connected to Port Canaveral CEO John E. Walsh via WatersMark Holdings, a mysterious offshore company that claims to develop Arab-themed resorts in Morocco and other exotic locations. 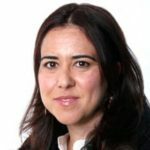 WatersMark partners include a former senior adviser to the Hillary Clinton 2008 campaign who is a Clinton Global Initiative member, a representative of the UAE government and representatives of royal families from the UAE, Saudi Arabia, and Bahrain. 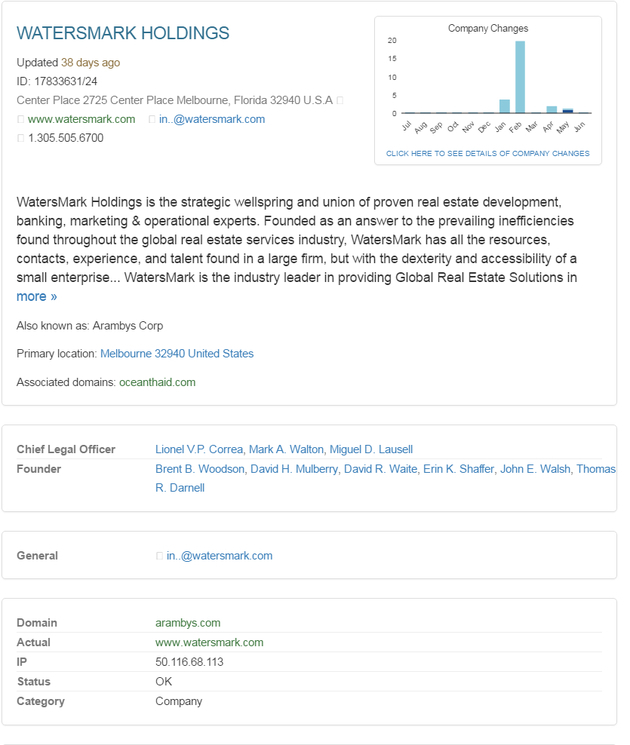 WatersMark Holdings is also is known as Arambys Corp, according to a corporate database. British corporate database aiHit lists John Walsh as a founder of WatersMark and Miguel Lausell as WatersMark Chief Legal Officer. Lausell is a 2008 Hillary Clinton Campaign political adviser, former DNC Leadership 2000 board member, $1 million Clinton Library donor and a Clinton Global Initiative associate. WatersMark Holdings is headquartered in the tiny Caribbean island of Anguilla, an offshore banking haven. The WatersMark.com website was online by 2005. WatersMark Holdings lists addresses in Anguilla and Melbourne, Florida, near Port Canaveral. WatersMark/Arambys attempted a scheme to take over Anguilla’s Clayton J. Lloyd International Airport and its assets in 2014 in exchange for total compensation of US$1. The Caribbean airport deal, like Gulftainer’s Project Pelican deal, was secretly-negotiated. 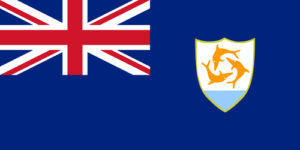 Arambys managed to bypass the Anguillan people and the House of Assembly, the island’s equivalent to the US Congress, before the deal was cancelled by Anguilla’s attorney general. “It is sad that a Chief Minister who claims to always fight for the people of Anguilla would allow political desperation to force him to be ready to sign an agreement that gives away for US$1 his country’s most valuable asset” deplored the Anguillian. John E. Walsh is the Founder and Senior Partner of resort developer WatersMark Holdings and the former CEO of Canaveral Port Authority. Walsh, as Port Canaveral CEO, struck and oversaw the Crescent/Gulftainer backroom deal with Peter Richards, CEO of Gulftainer’s GT USA and Badr Jafar, CEO of Crescent Enterprises. 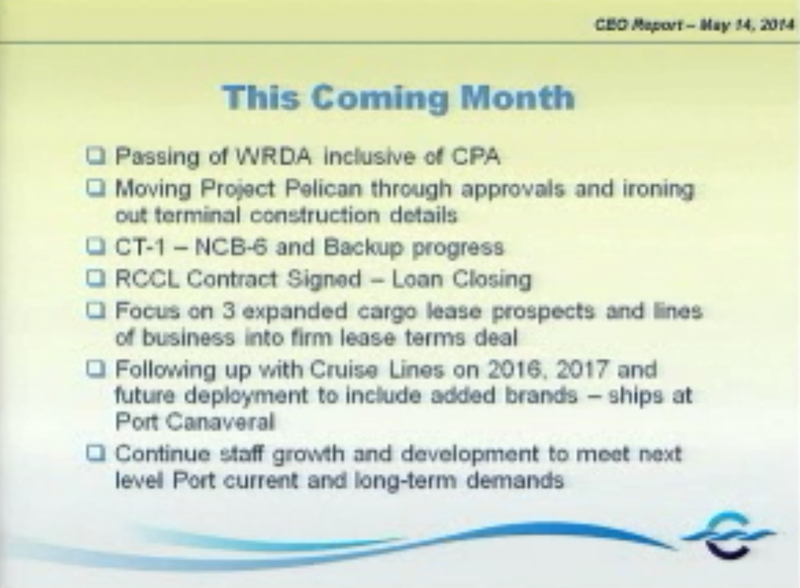 Walsh had no previous port operating experience before going to work for Port Canaveral. He began his brief Port Canaveral tenure overseeing construction projects. Walsh was promoted to interim CEO in March 2013 and to CEO in June 2013. Port Canaveral officials unanimously approved granting a container terminal lease to an unnamed foreign company during the May 14, 2014 Canaveral Port Authority Board of Directors meeting. The identity of this “foreign company” was kept secret from Florida residents, the American public, and members of Congress for another 40 days. It remains unclear if port commissioners knew with whom they were making the deal as the recipient of the lease was never made public. The proceedings of the CPA meeting were captured on video, including the unanimous vote to approve almost all items on the meeting consent agenda, including the Project Pelican backroom deal. 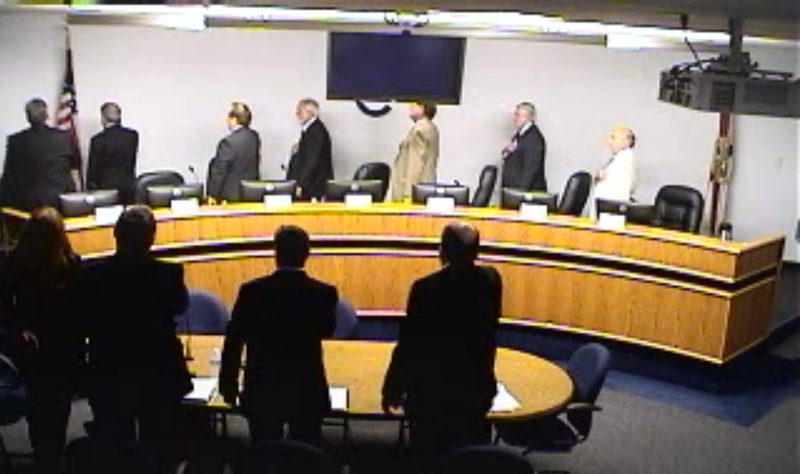 PORT CANAVERAL, FL – MAY 14, 2014 – Canaveral Port Authority (CPA) commissioners and other port officials recite the Pledge of Allegiance to the Flag of the United States of America before approving the Project Pelican deal. Walsh made a presentation during May 14, 2014 meeting, which was open to the public. While never identifying Gulftainer by name or mentioning the fact that the company was from the UAE, Walsh slickly assured meeting attendees by mentioning that contract approval was subject to Treasury Department CFIUS foreign investment review. Walsh then told meeting attendees that we would not be disclosing the name of the company until the day of the Project Pelican signing ceremony, after the Treasury Department had completed the CFIUS review and approval process. Walsh also mentioned that arrangements for construction of the terminal for the still-unnamed foreign company was already underway in advance of approval of the deal. The Canaveral Port Authority Board of Commissioners approved the Crescent/Gulftainer deal by approving an entire consent agenda of 33 items, minus agenda items 2, 17, 31, and 33 (which were taken off the agenda at the last minute), in one simple vote, which passed unanimously. Project Pelican, consent agenda item 29, was rammed through with no debate. It remains unclear if all of the port commissioners who approved Project Pelican even knew the name of the company or that it is based in the UAE, but at least some key commissioners appeared to have that inside information. No objections or questions were presented by local citizens attending the meeting. Walsh, based on his statements to Florida Today, indicated that Crescent’s deal at Port Canaveral was reviewed by the Treasury Department sometime between May 14, 2014 and June 23, 2014, the day of the formal announcement. The Project Pelican agreement was signed on June 23, 2014. The American people and Congress did not learn that the UAE’s Crescent/Gulftainer had taken over Port Canaveral’s cargo operations until the day of the signing ceremony. 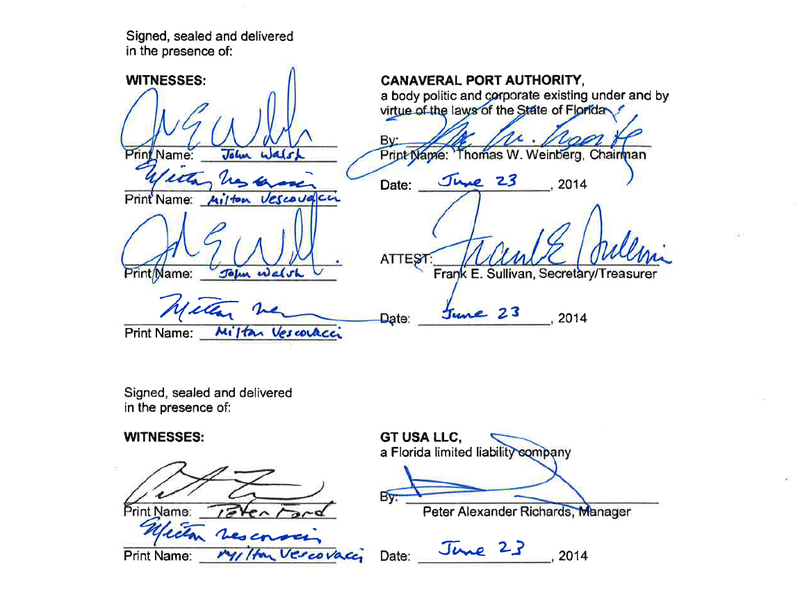 Signature page of the June 23, 2014 lease agreement between the Crescent Group’s GT USA and the the Canaveral Port Authority. Notably, Canaveral Port Authority CEO John E. Walsh only signed as a witness. Walsh was one of Gulftainer’s biggest cheerleaders, a fierce critic of skeptics who raised concerns about the UAE company, terrorism, and national security. Walsh, often sounding like he was reading aloud from an Obama Justice Department talking points manual, called Gulftainer critics “racist” flag wavers. 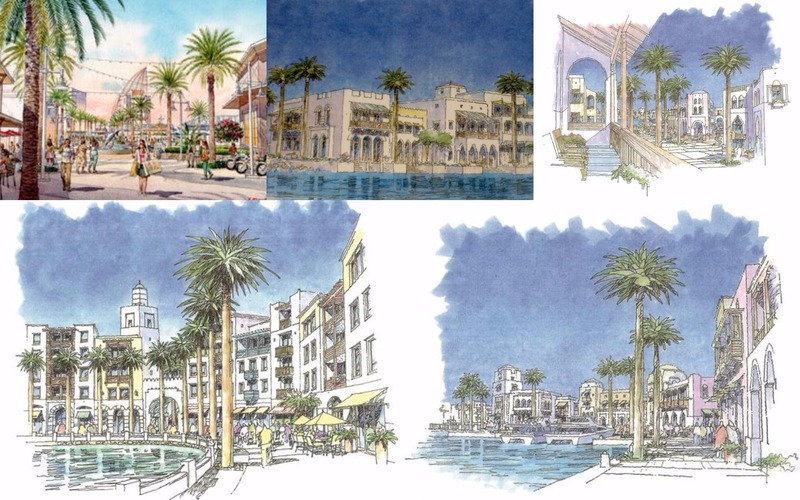 Walsh, while still serving as Port Canaveral CEO in November 2015, presented port commissioners with an “unsolicited proposal” from WatersMark Holdings to develop a $275 million “Port Canaveral Resort.” The massive project proposal, which featured Middle-Eastern-themed architecture and landscaping, included three luxury hotels, a conference center, a children’s science museum, private villas, restaurants, retail stores, amphitheater, surfing lagoon and boat docks, according to Florida Today. WatersMark negotiated behind closed doors with Port Canaveral while Walsh was Port Canaveral CEO, to develop a hotel complex at the Port. The drawings reflect a distinctive Arabic look and feel consistent with WatersMark’s previous projects. 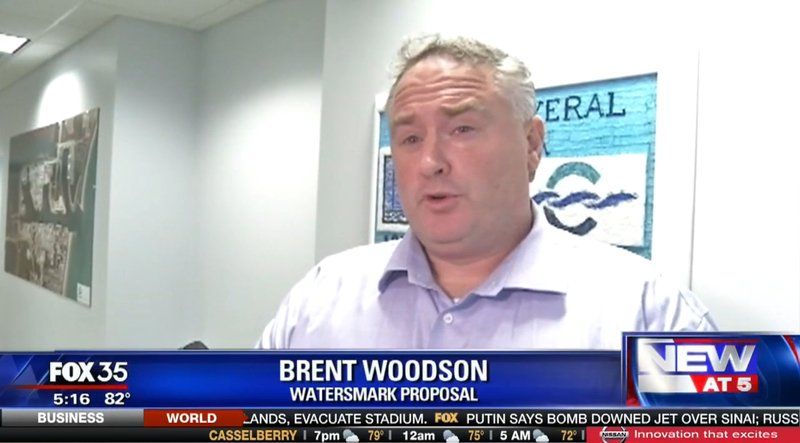 The WatersMark proposal was brought to Canaveral Port Authority Board of Commissioners by Walsh and Walsh’s business partner Brent B. Woodson, another “Founder and Senior Partner” of WatersMark. John Walsh’s business partner Brent B. Woodson, another WatersMark Founder and Senior Partner. The WatersMark Port Canaveral resort development proposal was unanimously rejected by Port Commissioners on November 18, 2015. The Middle East theme of the WatersMark drawings remain consistent with the look of Port Canaveral’s Exploration Tower, which opened in November 2013 and closely resembles Dubai’s Burj Al Arab hotel. Walsh was forced to resign as Port Canaveral CEO effective January 24, 2016 for his “corrosive rhetoric” which “tattered the reputation of this port” according to the Orlando Sentinel. WatersMark Holdings Senior Partner and General Counsel Miguel D. Lausell is one of John Walsh’s partners at WatersMark. Miguel was President and CEO of the Puerto Rico Telephone Company, Chairman of the $1 billion PonceBank and Undersecretary of the Treasury of Puerto Rico. Lausell was a member of the DNC 2000 Leadership Board and the Clinton Global Initiative. Lausell was also the Senior Political Adviser on Latino Affairs for 2008 Presidential Candidate Senator Hillary Clinton, according to the New York Times. Lausell’s name surfaces several times in Peter Schweizer’s book Clinton Cash: The Untold Story of How and Why Foreign Governments and Business Helped Make Bill and Hillary Rich. According to Schweizer’s book, “Lausell gave the Clinton Library a $1 million gift” in 1999. Saudi Arabia has given between $10 million and $25 million to the Clinton Foundation according to the Wall Street Journal. Egyptian attorney Sherif Fakhry Younes has been a “Director for the UAE Federal Government” and has served as a direct adviser to the UAE Royal Family. Fakhry, who lives in Canada, is also the Senior Vice-President of the Middle East American Development Fund Corporation (MEAD). MEAD’s Nevada corporate registration was revoked. The organization appears to have reincorporated in Canada. 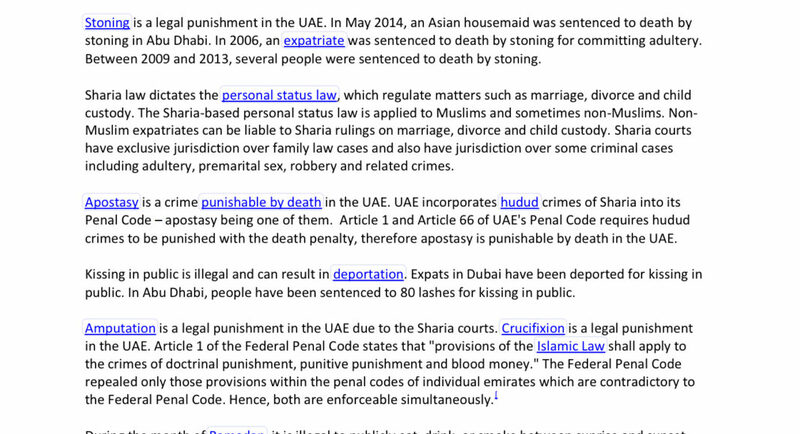 Younes has lectured UAE State Security, the strong-arm enforcers of UAE’s repressive sharia-law government. Dr. Christopher K. Tucker is Chairman of Midwest American Development Fund with a Melbourne FL address listed on their website. Brent Woodson is the CMO and Sherif Fakhry is Executive Vice President. Midwest lists the same New York City exchange phone number as MEAD. Tucker was the founding chief strategic officer of the CIA’s venture capital firm In-Q-Tel. Tucker was allegedly considered the “Dark Horse” candidate in the 2008 run for an appointment as President Obama’s Director of Central Intelligence after John Brennan initially withdrew his name from consideration. The address for Midwest American Development Fund is a very modest mixed-use residential office home with at least six companies listing the address, including National Solar and other solar development companies. 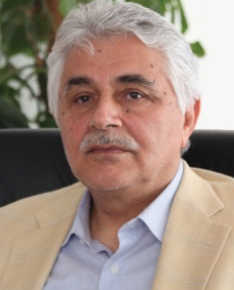 Longtime Obama associate and former Iraqi Minister of Electricity, Dr. Aiham Alsammarae’s (also spelled Ayham Al-Samarie and Ayham al-Sammarae) is the CEO and owner of KCI Engineering Consultants (a.k.a. Kiran Consultants Inc.). Alsammarae is an “engineering consultant to Nuclear and Fossil Power Plants” according to his LinkedIn profile. 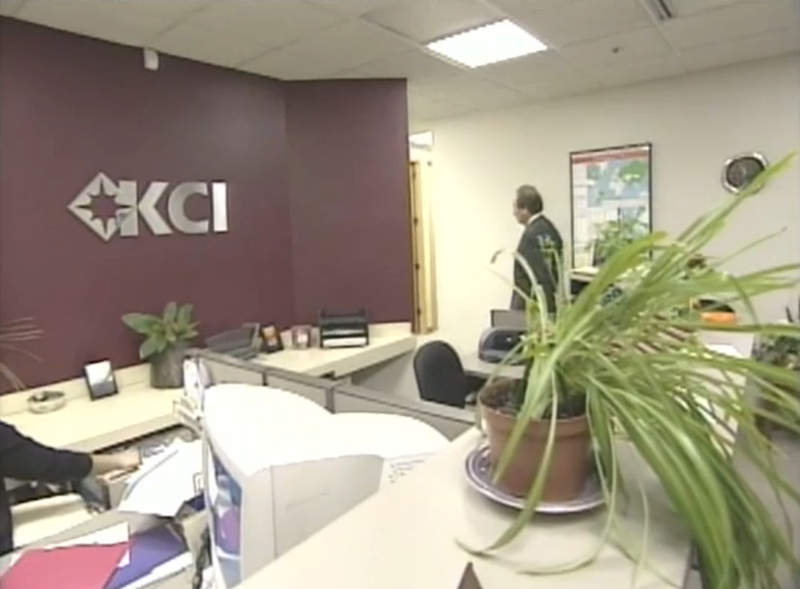 Former Iraq Minister of Electricity Aiham Alsammarae walks into his Chicago-area office at KCI Engineering Consultants. 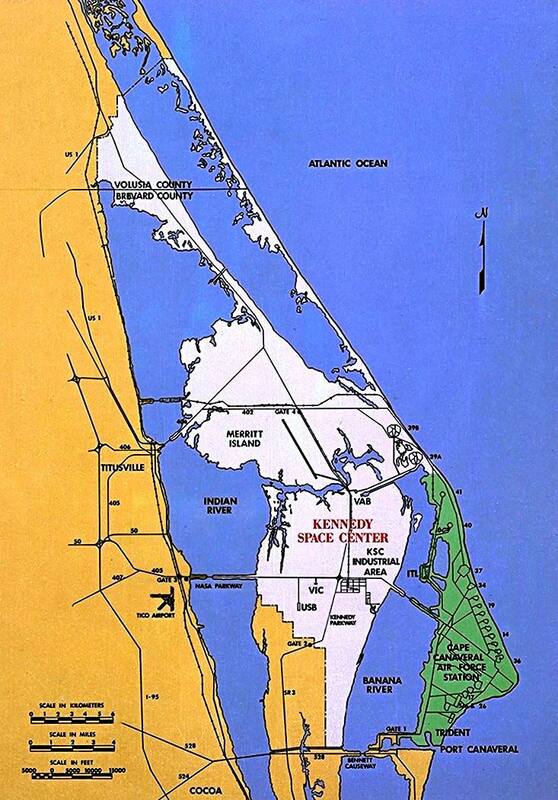 KCI is based in the off-shore banking haven of Anguilla, according to a federal document from the USNRC. 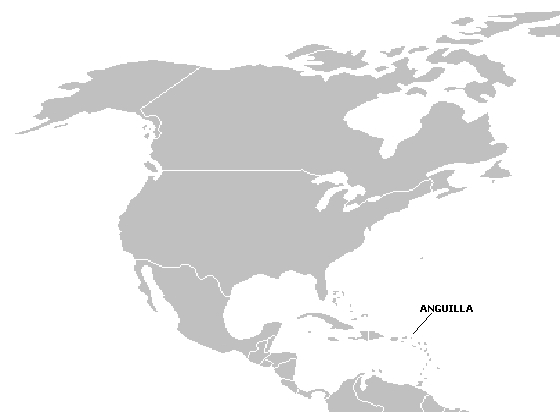 Anguilla is the same Caribbean island where former Port Canaveral CEO John Walsh’s company WatersMark Holdings LLC is based. In an extraordinary coincidence, the tiny Caribbean tax haven of Anguilla is not only the headquarters of former Port Canaveral CEO John E. Walsh’s Watersmark Holdings, it is also the headquarters of Alsammarae’s company KCI. 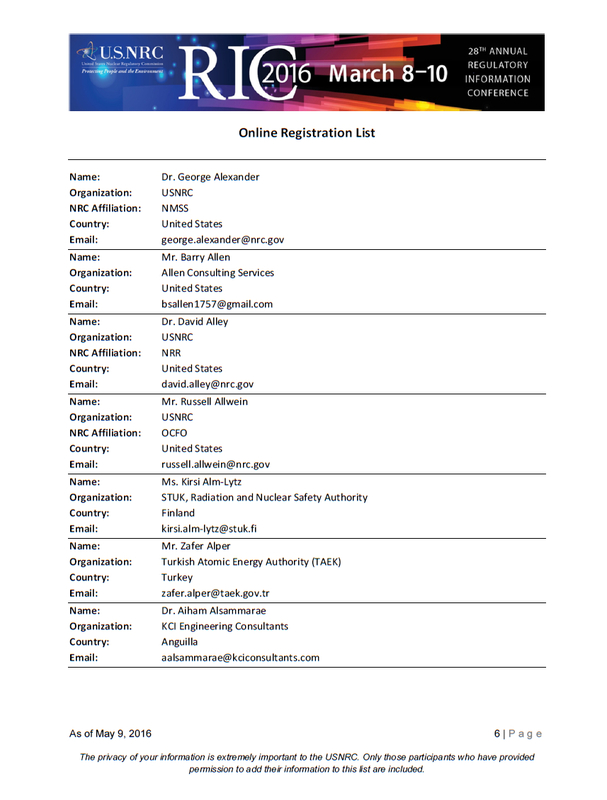 The U.S. Nuclear Regulatory Commission (U.S.NRC) 2016 Regulatory Information Conference Online Registrants List and the PDF version both list “Aiham Alsammare, KCI Engineering of Anguilla” as an attendee. Alsammarae lives near Chicago. He attended the Illinois Institute of Technology as a foreign student along with fellow foreign student, engineering classmate, and college roommate Antoin “Tony” Rezko. 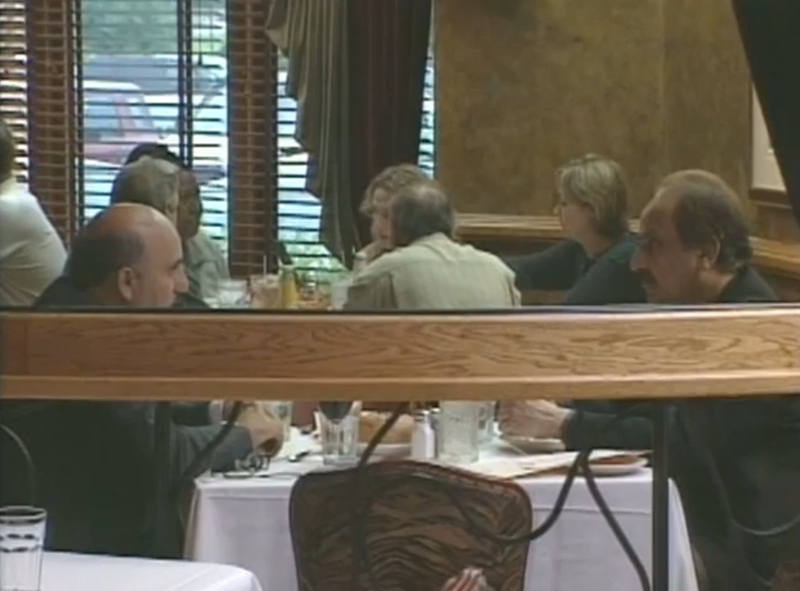 Rezko is also a long-time Obama associate. Alsammarae’s KCI is actively involved in nuclear engineering projects. Rezko’s first job was designing nuclear power plants. Like Dr. Jafar, a top priority for Alsammarae and Rezko has been getting new power stations built in Iraq. 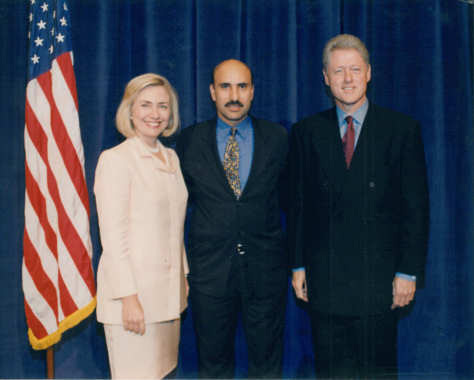 Antoin “Tony” Rezko is a Syrian-American businessman. “In court papers, the prosecutor noted that Mr. Rezko had traveled 26 times to the Middle East between 2002 and 2006, mostly to his native Syria and other countries that lack extradition treaties with the U.S” according to the Wall Street Journal. Rezko has been referred to as a henchman of Iraqi billionaire Nadhmi Auchi. “In 2003, Mr. Auchi began investing in Chicago real estate with Mr. Rezko. In April 2007, after his indictment, Mr. Auchi loaned another $3.5 million to Mr. Rezko, a loan that Mr. Rezko hid from U.S. Attorney Patrick Fitzgerald’s office” explained the Journal. …As a result, Auchi succeeded in taking over the entire postwar cellular-phone system in Iraq by using contacts and front companies to design the architecture for the phone network in three sectors in Iraq, and to make sure that he owned or controlled the components. Nadhmi Auchi “was charged in the 1950s with being an accomplice of Saddam Hussein, when the future tyrant was acquiring his taste for blood” and “prospered when the Baath Party seized control of the state” claimed Nick Cohen in a 2003 article for the U.K.’s Observer. 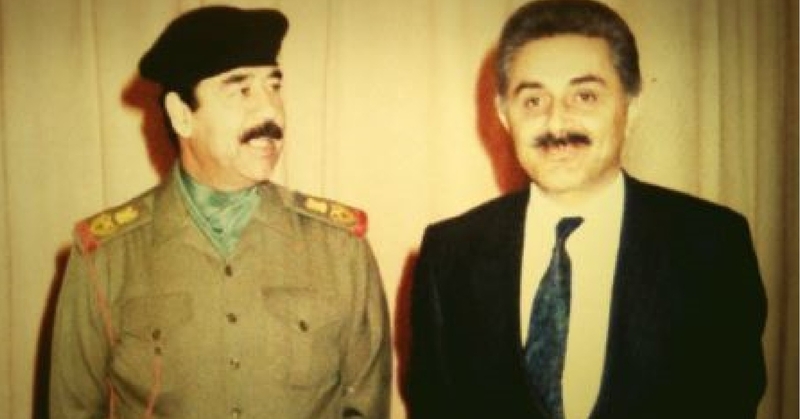 Photo alleged to show Barack Obama associate and benefactor Nadhmi Auchi with the “Butcher of Baghdad” Saddam Hussein. UPI reports that Auchi and Saddam are cousins. Nadhmi Auchi “was barred from entering the United States in 2005” according the British politician Norman Lamb, MP. “Messrs. Rezko and Auchi were introduced several years ago by a mutual acquaintance in London. They teamed up recently on a $150 million contract to build a power plant in Iraq” reported Crain’s Chicago Business. Alsammarae is not only a close associate of Tony Rezko and Iraqi billionaire Nadhmi Auchi, but is also a cohort of disgraced and convicted former Illinois Governor Rod Blagojevich, who tried to sell Obama’s Senate seat. All are closely connected to Barack Hussein Obama. Rezko first tried to hire Obama while Obama was still attending Harvard Law School. Obama, instead of accepting that offer, went to work for Davis Miner Barnhill & Galland, helping Rezko’s company Rezmar secure $100 million in grants and federal monies for low-income housing contracts. Rezmar Development Group was involved in low-income housing in Chicago. Rezko became infamous for being a Chicago slumlord, along with Valerie Jarrett, currently Obama’s senior White House Adviser. 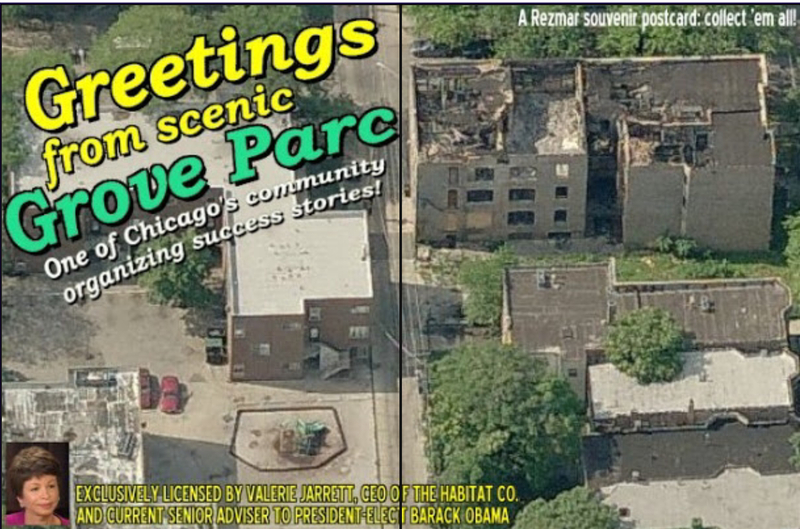 Valerie Jarrett, Obama’s Senior White House Adviser, operated slum housing projects in Chicago along with Tony Rezko. Tony Rezko was for about 17 years I believe a friend of Obama. He was one of his political mentors in Chicago politics, he raised money for him, he apparently lined up supporters for Barack Obama, and then at some point two or three years ago Tony Rezko helped Obama, or apparently helped Obama buy a rather large impressive new house in South Chicago by buying the lot next to Obama’s house because the sellers of the house didn’t want to sell the house without someone to buy the vacant lot at the same time…so Obama and Tony Rezko, this guy who’s going on trial for corruption are kind of tight together. Alsammareae claims that an SUV picked him after after his escape from detention and that a private jet was waiting for him at the airport. Alsammarae is wanted by INTERPOL due to an in absentia conviction in Iraq, where he faces 21 years in prison. “Prosecution witness testified that Obama attended a 2004 party at Rezko’s mansion for Nadhmi Auchi, an Iraqi tycoon who was later banned from the United States due to a fraud conviction in France” reported Newsweek. 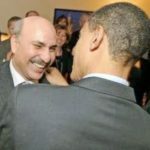 Dem presidential contender Barack Obama’s handlers may be telling the press Obama has NO ‘recollection’ of a 2004 party at influence peddler Tony Rezko’s Wilmette house, but a top Sneed source claims Obama not only gave Rezko’s guest of honor, Iraqi billionaire Nadhmi Auchi, a big welcome . . . but he made a few toasts! Rezko’s company “Rezmar Development Group” and Rod Blagojevich tried to build power plant in Iraq and train Iraqi power plant security guards at an Illinois military base. The security guard company was called “Companion Security.” The $150 million dollar plant was to be built in Chachamal in Kurdistan Region, Iraq. The Rezko/Blagojevich/Alsammarae power plant was supposed to break ground in January 2006, which, coincidentally, was exactly when Senator Obama traveled to Iraq and met with Iraqi reconstruction officials. Rezko was the subject of a federal probe to determine how he landed a contract to build a power plant in Iraq, according to a 2006 UPI report. U.S. authorities grew suspicious of Rezko’s and Blogojevich’s Iraqi power station project after learning that Rezko was a long-time friend and college roommate of Iraqi Minister of Electricity Alsammarae. “Blagojevich’s office and Illinois Homeland Security reportedly helped by offering an Army depot in Savanna in western Illinois as a site for Companion to conduct the Iraqi training” reported Aaron Klein. Daniel Frawley, a former Chicago police officer and Rezko’s business partner at Companion, spent months communicating with staff from Illinois Senator Barack Obama’s office. Obama staffers dedicated several meetings, a conference call, and multiple emails to Companion’s request for a letter of introduction from Senator Obama to senior Iraqi officials on Companion’s behalf. “Obama’s office declined to help about the same time Rezko was indicted on charges of fraud” noted Klein. 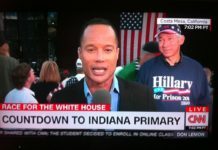 Bill and Hillary Clinton have met Tony Rezko. Rezko was found guilty on 16 out of 24 charges related to corruption and sentenced to prison. He was recently released from prison. In true Chicago fashion, it is abundantly clear that this Communist/Baathist Iraqi container ship from the Middle East runs directly to the Communist bastion in the Midwest hub of Chicago, where corruption reigns supreme. The Auchi-Rezko-Alsammarae-Blago-Obama ship is a disaster-in-the-making. An Obama specialty. Have no doubt — the Saddam-linked Iraqis in Chicago are connected to the Saddam-linked Iraqis at Port Canaveral. 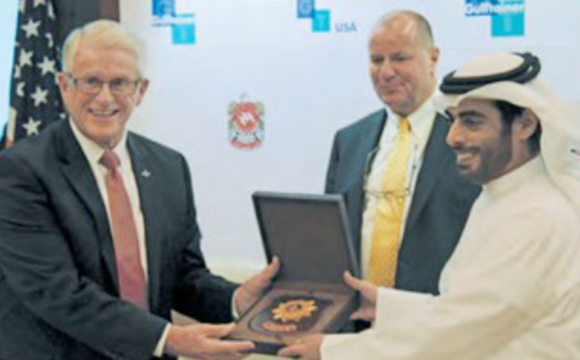 SHARJAH, UAE – FEBRUARY 19, 2015 – SelectUSA Director Ambassador Vinai Thummalappally appears to be receiving a gift during a luncheon held in his honor sponsored by the Sharjah Chabmer of Commerce and Industry. Crescent and Gulftainer are headquartered in Sharjah. Vinai Kumar Thummalapally (a/k/a Thummalapally Vinai Kumar) is a former foreign student from India who reportedly first met Obama in Southern California while Obama was enrolled at Occidental College. Thummalapally is the Director of the Department of Commerce’s SelectUSA and recruits foreign companies to set up operations inside the United States. In December 2014 Director Thummalapally traveled to Dubai to meet with Indian businessman Lalu Samuel. Members of the Indian Business and Professional Council in Dubai were invited to the event. Six months later, on June 12, 2015, Director Thummalapally attended the opening ceremony for Port Canaveral’s new Crescent/Gulftainer/GT USA cargo terminal. President Obama created SelectUSA under Executive Order 13577 and appointed as director his former foreign student college roommate Vinai Kumar Thummalapally. Thummalapally arrived in the U.S. in 1974 as a foreign engineering student, like Alsammarae and Rezko. “Thummalapally lived with Obama the summer of 1980” claims USA Today. The pair lived in Pasadena near L.A.’s Occidental College. Thummalapally is the former President of Japanese-owned Mitsui Advanced Media America optical disc manufacturing plant in Colorado Springs. Mitsui O.S.K. Lines Ltd. logo painted on an ocean shipping container. Mitsui O.S.K. Lines Ltd. is one of the largest container shipping companies in the world, and entered a consortium with Dubai Ports World. As an Obama 2008 campaign bundler, Thummalapally raised between $100 thousand and $200 thousand for his college roommate’s presidential campaign. President Obama appointed Thummalapally U.S. Ambassador to Belize. President Obama created SelectUSA under Executive Order 13577 and placed it inside the Commerce Department. SelectUSA is supposed to attract foreign investment and manufacturing jobs, but President Obama is using it as a conduit for the redistribution of America to foreign interests. 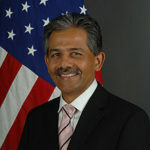 President Obama then appointed Ambassador Thummalapally as Director of SelectUSA. Congress recently introduced a bill that would have prevented SelectUSA from bringing in companies owned by foreign governments. Andrew Levine of Forbes interviewed Thummalapally in 2014. Levine: If you look at the US as the product, what are the barriers to success? If you were to do a perception study of how the U.S. is perceived by prospective investors, what are the negatives? Thummalapally: The one single concern or issue that pops up in investors’ minds is the process of acquiring a visa – whether a business visa or an investment visa to come to the United States. Here is the irony. I don’t know of another country that is more inviting than the United States of America. I am speaking from personal experience. Levine: You are an Indian-American, someone who is foreign born. In the kind of senior position you’re in, that’s a little unusual. Thummalapally: Yes, it’s unusual. I actually think it’s an advantage. I feel comfortable when people are telling me their experiences or their ideas, or asking questions. I don’t have a very difficult time putting myself in their shoes. It’s very important in order to understand the person’s situation and their question intimately. My kind of mixed cultural background comes to my aid. And it’s not just limited to India. I have worked for a Japanese company for 13 years. I worked for a European firm before that. Levine: Is that one of the reasons you think you were chosen by the Obama administration for this job? Thummalapally: Gosh, I don’t know the answer. Also in attendance at the Crescent/Gulftainer/GT USA terminal grand opening ceremony at Port Canaveral was Dr. Lana Zaki Nusseibeh, the UAE’s Ambassador to the United Nations. 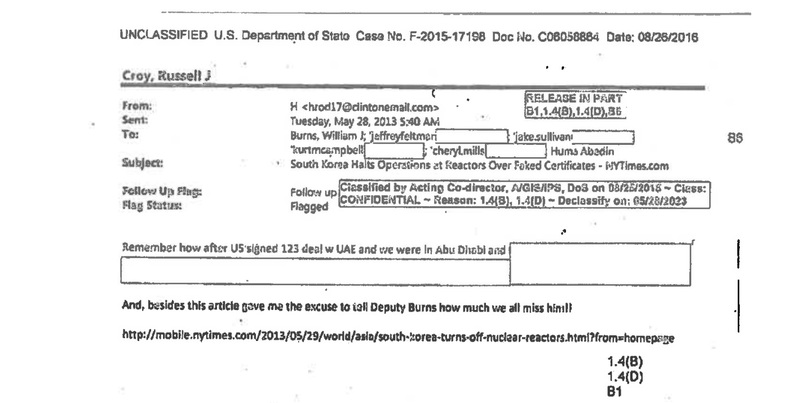 Ambassador Nusseibeh was one of two UAE diplomats communicating through emails, which were later leaked to the New York Times, revealing that the UAE was shipping weapons to Libya in contravention to an international arms embargo. The two diplomats also reportedly schemed to hide those weapons shipments from the UN monitors. Former Deputy CIA Director Mike Morell told Fox News in 2015 that he “can’t talk about” whether the CIA was “tracking other people” moving weapons from Libya to Syria. 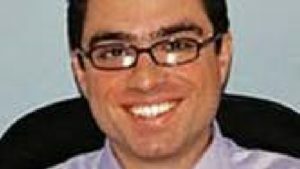 Iranian-American Siamak Namazi is the former Crescent Petroleum Head of Strategic Planning. Namazi held his position with Crescent throughout the period of time the secret Project Pelican negotiations were underway, until his passport was confiscated in Tehran around November 2015. Namazi was arrested in Iran in October 2015, according to Reuters. “Crescent said in a statement that Mr. Namazi ‘was no longer an employee of the company at the time of his reported detention'” reports the New York Times. NIAC, the Iranian regime, and the U.S. State Department allege that Namazi and his father are being held in an Iranian prison. Namazi is a former Iranian government official who served in the theocratic Islamic Republic’s Ministry of Housing and Urban Planning in Tehran. Sources have reported that Namazi and Trita Parsi helped found the National Iranian American Council (NIAC), Tehran’s Washington D.C. lobbying wing. 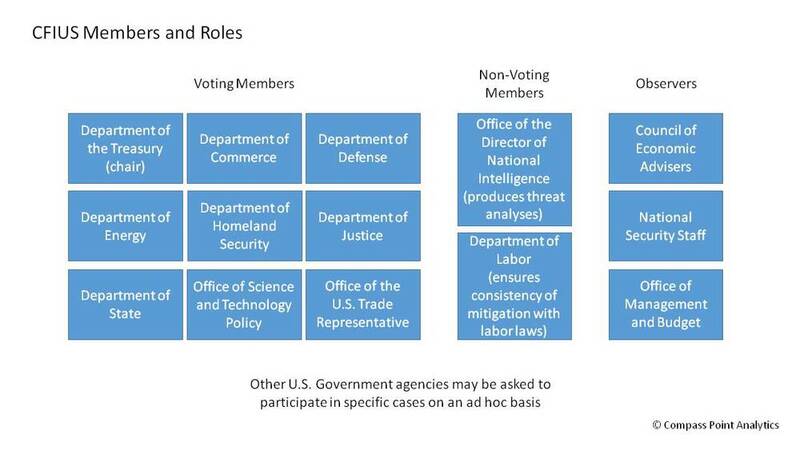 NIAC works closely with the State Department, the CIA and the White House. The exact nature of Namazi’s connection to NIAC remains the subject of intense scrutiny. Valerie Plame Wilson and former Secretary of Defense Chuck Hagel have worked with the Ploughshares Fund to disarm U.S. nuclear forces. The Ploughshares Fund is supported by the George Soros Open Society Institute. The timeline presented here demonstrates that the surprise deal that would become known as “Project Pelican” is the product of efforts that began years earlier. The first UAE company to attempt a takeover of American ports was Dubai Ports World in 2006. Gulftainer made a failed takeover attempt at Port Jacksonville, Florida in 2012. 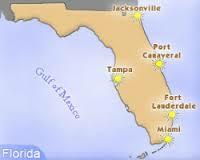 Like Port Canaveral, Port Jacksonville is located near sensitive military installations. After Gulftainer’s doomed Port Jacksonville deal fell apart in 2012, secret Project Pelican negotiations were conducted during 2013 and 2014 with Port Canaveral CEO John E. Walsh at the helm. Four months after the Port Canaveral ceremony Ambassador al-Otaiba phoned U.S. Rep. Ed Royce (R-CA), Chairman of the House Armed Service Committee, to inform him that, in light of Joint Comprehensive Plan of Action (commonly known as the Iran nuclear deal), the UAE “no longer felt bound” by the 123 Agreement’s prohibition on the UAE enriching uranium. NASA Administrator Charles Bolden sustained a barrage of criticism after he told Al Jazeera that President Obama had tasked the space agency with a new mission: Muslim outreach. Crown Prince Al Nahyan has close ties to Vladimir Putin and the two leaders have mutual interests in Syria. In March, 2016 “Putin hailed ties with the United Arab Emirates, adding that Moscow was willing to expand them” according to AP. Secretary of State Hillary Clinton, Huma Abedin, Cheryl Mills, and Douglas C. Greene, Chargé d’Affaires at the U.S. Embassy in Abu Dhabi, met with Abu Dhabi Crown Prince Sheik Mohammed bin Zayed Al Nahyan, Deputy Supreme Commander of the UAE Armed Forces. 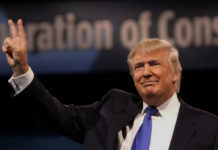 President Obama signed Executive Order 13577 on June 15, 2011, establishing SelectUSA within the U.S. Department of Commerce. 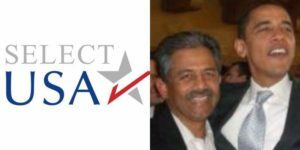 President Obama appointed his former foreign-student college roommate Vinai Thummalapally as Director of SelectUSA. Gulftainer attempted in 2012 to “take over” the Port of Jacksonville (JAXPORT), home of Marine Corp Support Facility Blount Island, a logistics base that supplies equipment to U.S. troops deployed to the Middle East. JAXPORT is located only 31 miles from U.S. Naval Submarine Base Kings Bay, home of the Atlantic Fleet. JAXPORT turned down the $250 million deal proposed by Gulftainer. A large delegation of UAE officials from the Emirate of Sharjah traveled to Washington D.C. and New York City. Sharjah officials marketed the trip as the Sharjah Roadshow. The roadshow was presumably aimed at attracting U.S. investment in the UAE but doubled as a U.S. port shopping trip for Gulftainer and His Highness Sheikh Sultan Al Qassimi, the Ruler of Sharjah. Port Canaveral’s Exploration Tower opened in November 2013. The structure closely resembles Dubai’s Burj Al Arab hotel. The Port Canaveral Welcome Center and museum inside of Exploration Tower was designed by British firm Haley Sharpe Design (HSD), before Wash was promoted to Interim CEO. HSD has designed many projects in the UAE, including the Dubai Maritime Museum, the Museum of Islamic Civilization in Sharjah, the Natural History Museum, Sharjah, the Sharjah Aquarium, and the Sharjah Archaeology Museum. The Emerati people, therefore, learned in advance that Gulftainer was taking over a port in the United States. The American people remained in the dark, by design. Badr Jafar, Majid Jafar, Secretary of State John Kerry, and Treasury Secretary Jacob “Jack” Lew all attended the 2014 World Economic Forum in Davos, Switzerland. Israel Defense Forces (IDF) intercepted the Panamanian-flagged cargo ship KLOS-C in the Red Sea on March 5, 2014 during “Operation Full Disclosure.” The freighter was smuggling heavy rockets, Kalashnikovs, and other weapons. Secretary of Commerce Pennty Pritzker led a U.S. delegation on a trade mission to the UAE around March 9, 2014, three months before Project Pelican was announced to the American people. 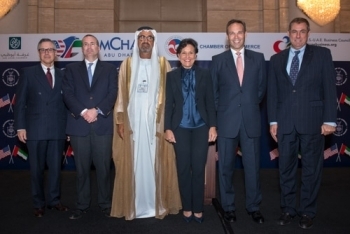 ABU DHABI, UAE – MARCH 9, 2014 – Secretary of Commerce Penny Pritzker led a delegation to the United Arab Emirates. 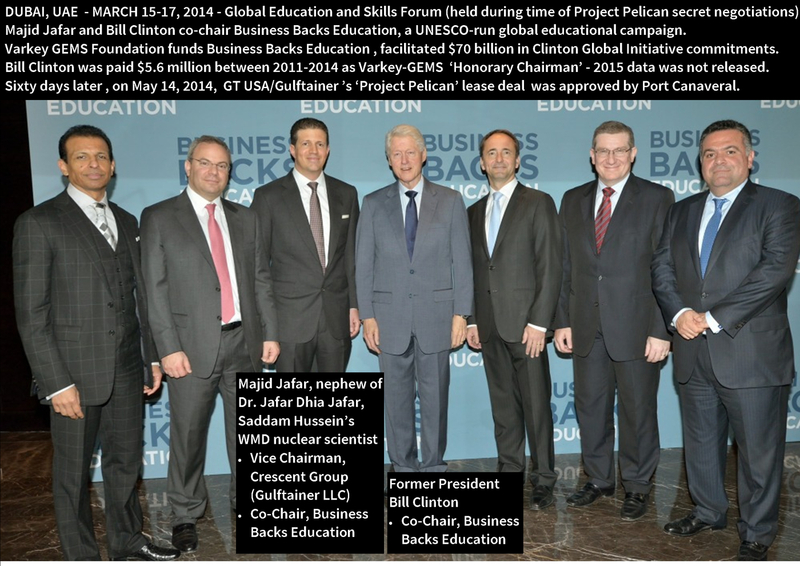 Crescent Group Vice-Chairman Majid Jafar met with former President Bill Clinton and other global leaders, including the Director-General of UNESCO , at the Global Education and Skills Forum, held in Dubai from March 15-17, 2014. Majid Jafar co-Chairs, alongside former President Clinton, Business Backs Education, a UNESCO-run global educational campaign. The campaign is funded by the Varkey GEMS foundation, a contributor to the Clinton Global Initiative. 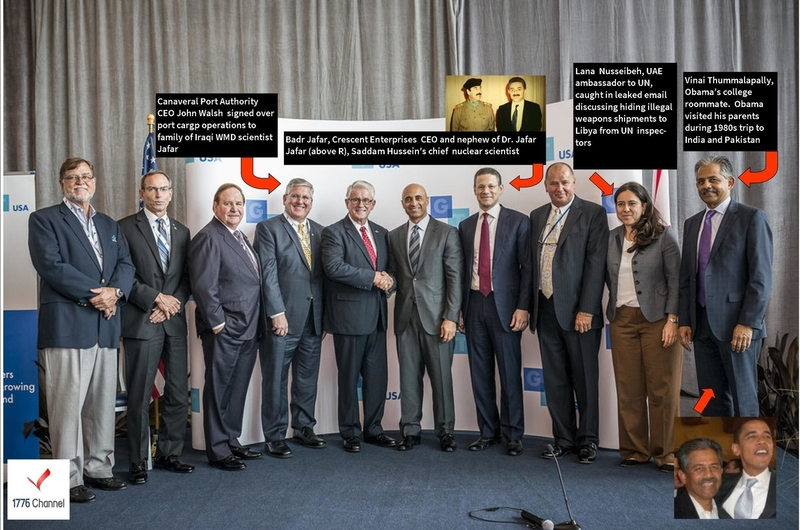 A group photograph taken during the forum provides evidence that Majid Jafar physically stood next to former President Clinton at a time when Gulftainer was secretly seeking to establish operations at Port Canaveral. It remains unclear if the board members knew the identity of the company at the time they approved the Port Canaveral lease. Former President Bill Clinton gave the commencement speech at NYU Abu Dhabi amid controversy that the campus was built by migrants working in slave labor conditions. 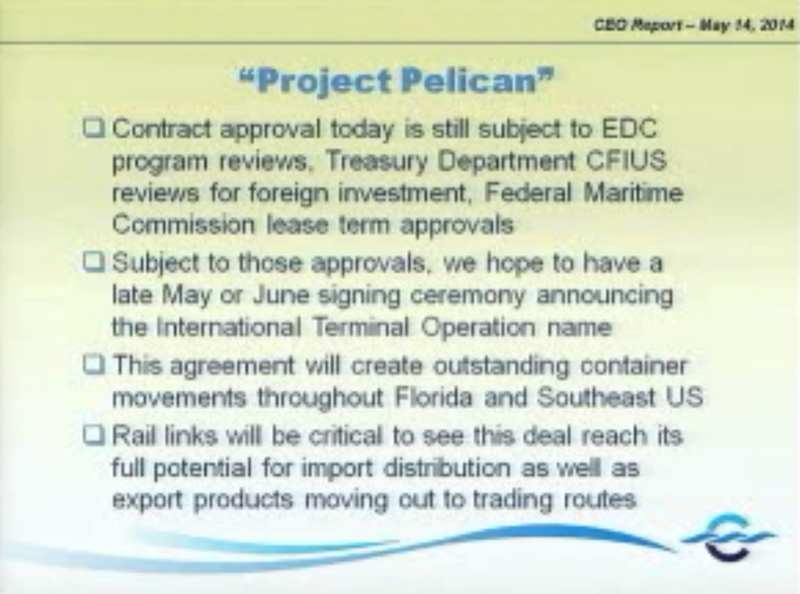 Project Pelican was officially announced on the day of the Port Canaveral signing ceremony. Badr Jafar, Majid Jafar’s brother and also a nephew of Saddam’s WMD scientist Dr. Jafar Dhia Jafar, had already flown in with his delegation from the UAE. Badr Jafar is the CEO Crescent Enterprises, a division of his Iraqi father’s Crescent Group. 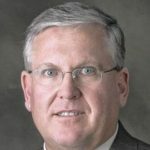 Port Canaveral CEO John E. Walsh publicly apologized to Gulftainer executives for the “bad attitude” of American citizens who were opposed to the secret Project Pelican deal. U.S. Secretary of Commerce Penny Pritzker and other Obama Administration officials traveled to Port Canaveral to meet with Canaveral Port Authority CEO John Walsh and other Florida port officials to discuss the Import/Export bank. 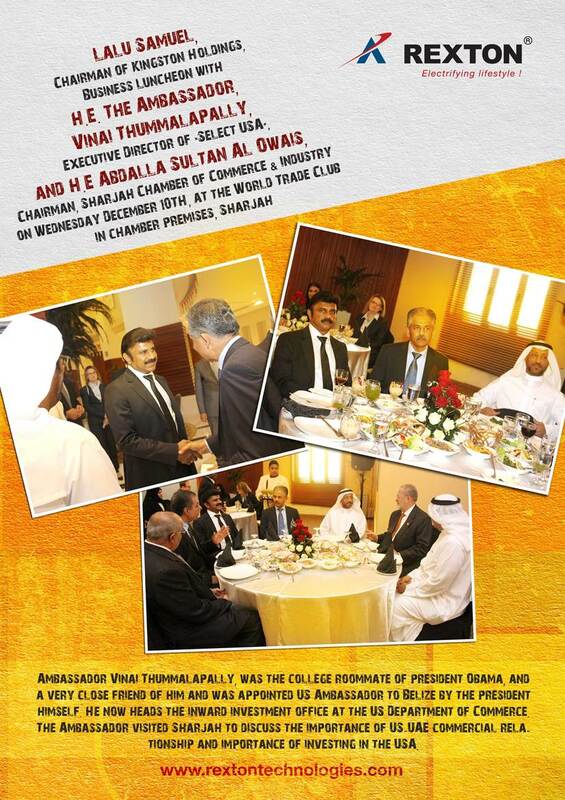 In December 2014 SelectUSA Director Thummalapally traveled to Dubai to meet with Indian businessman Lalu Samuel. Members of the Indian Business and Professional Council in Dubai were invited to the event. Thummalapally and Barack Obama were college roommates. Canaveral Port Authority CEO John Walsh, Crescent Enterprises CEO Badr Jafar, Obama’s college roommate SelectUSA Director Vinai Thummalapally, and UAE’s UN Ambassador Lana Nusseibeh attended the opening ceremony at Gulftainer’s new Port Canaveral cargo container terminal. Port Canaveral and the Port of Sharjah signed a “Sister Ports” “Joint Declaration of Collaboration and Cooperation” on October 6, 2015. The agreement was struck while Walsh was still CEO. 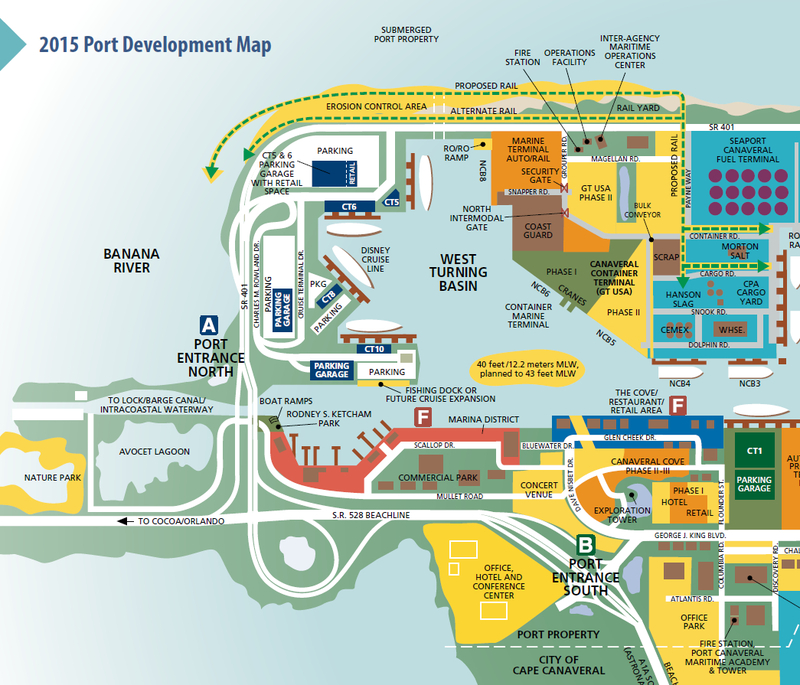 Port Canaveral’s own internal document is a catalog of barbaric U.A.E. 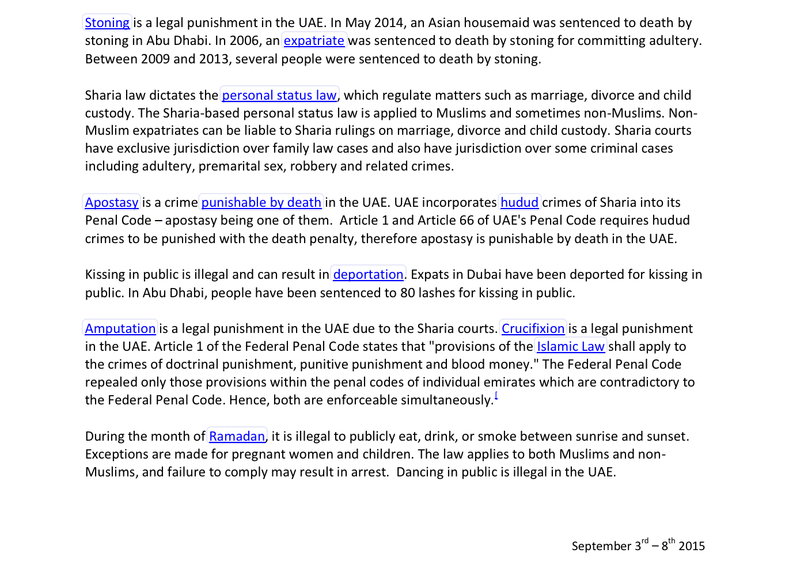 Sharia laws and punishments: flogging, stoning, apostasy (punishable by death), amputation, crucifixion, torture, “disappearance,” and electrocution. A guide to the findings of this year-long investigation. Following the Executive Summary, this report expands into far greater detail. • Dr. Jafar’s team allegedly recovered the magnets and other salvageable equipment from the Tarmiya enrichment facility after it was carpet-bombed by U.S. B-52s during the Gulf War. Dr. Jafar’s magnets and other enrichment assets needed to be hidden and were tagged and loaded onto 150 tractor-trailer trucks and buried in the western desert by Saddam’s Special Security force according to Russ Hoyle’s book Going to War. The Iraqis later showed inspectors where the magnets were buried. • The Iraqis buried electric power lines running from the power stations to Dr. Jafar’s EMIS enrichment facilities to decieve CIA analysts studying spy sattelite imagery. Fake power lines were strung up to make it appear that the electricity was being transmitted to civilian end-users according to John Diamond’s book The CIA and the Culture of Failure. • URUK began construction in 2010 on a power plant in a rural outpost in the Sunni Triangle called Taji – formerly the location of Al-Taji airfield, a Republican Guard base, a tank factory, chemical weapons production (including VX for SCUD missiles), and nuclear weapons and missile production facilities, oxide aluminum factory (missile casings production), R&D for missile launchers, an engineering center for the nuclear weapons program, epoxy and fibreglass for missile casings. Taji was also the location of a biological weaponsgerm plant and the planned location for a centrifuge uranium enrichment facility. Coalition forces took over the base in 2003. Part of Camp Taji was turned over to the Iraqi government in 2010. • Engineer and physicist, like his uncle Dr. Jafar. Masters degree in engineering with additional studies in astrophysics. • January 2014 – Six months before the Gulftainer Port Canaveral deal was announced, Badr Jafar bragged to a CNBC reporter at Davos World Economic Forum (WEF) in Switzerland about Gulftainer’s still-very-secret deal: “Today we’re operating in countries such as Saudi Arabia and Kuwait and Russia and Brazil and Lebanon and Turkey and Pakistan, and an exciting entry and venture, soon, will be in the United States of America, owning and operating a port there…it’s on the East coast of America.” During the six month period following Jafar’s CNBC interview, the American public and Congress were left completely in the dark about UAE’s Gulftainer deal at Port Canaveral. 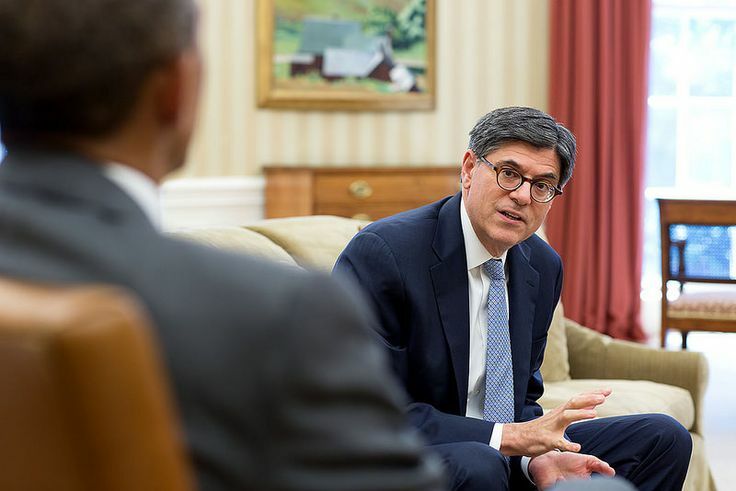 • January 2014 – Treasury Secretary Lew traveled to the Davos 2014 World Economic Forum in Switzerland. The global meeting was also attended by Crescent executives Majid andBadr Jafar. Badr Jafar bragged to a CNBC reporter at Davos about Gulftainer’s clandestine deal, still hidden from the American people: “Today we’re operating in countries such as Saudi Arabia and Kuwait and Russia and Brazil and Lebanon and Turkey and Pakistan, and an exciting entry and venture, soon, will be in the United States of America, owning and operating a port there…it’s on the East coast of America.” The American people and Congress were kept completely in the dark about UAE’s secret Gulftainer deal at Port Canaveral during the six month period following Jafar’s CNBC interview. • Rezko’s company “Rezmar Development Group” and Rod Blagojevich tried to build power plant in Iraq and train Iraqi power plant security guards at an Illinois military base. The security guard company was called “Companion Security.” The $150 million dollar plant was to be built in Chachamal in Kurdistan Region, Iraq. The Rezko/Blagojevich/Alsamarae power plant was supposed to break ground in January 2006, which, coincidentally, was exactly when Obama visited Iraq and met with Iraqi reconstruction officials. • Alsammareae claims that an SUV picked him after after his escape from detention and that a private jet was waiting for him at the airport. • “Mr. Alsammarae was stopped at the Baghdad airport, where he was attempting to leave the country with a Chinese passport.” Alsammarae is wanted by INTERPOL due to an in absentia conviction in Iraq, where he faces 21 years in prison. Interestingly, Obama associate Alsammarae shares the last part of his name with the head of ISIS Abu Bakr al-Baghdadi,” the most notorious terrorist leader since Osama Bin Laden.” Newsweek reports that al-Bagdadi’s birth name is Awwad Ibrahim Ali al-Badri al-Samarra, indicating that he is from the northern-Iraqi town of Samarra.